MORE GOOD STUFF — Just like his remarkably compelling first edition, “A Woman’s Worth: From Both Sexes” (Extended Version/Second Edition) figures to leave Nashville-area award-winning author Aaron Jordan, Jr.’s reading audience on the edge of its seat, considering this longtime middle-Tennessee-based syndicated radio personality and television talk show host addresses an assortment of relationship-oriented topics that could greatly enhance or spice up relationships. 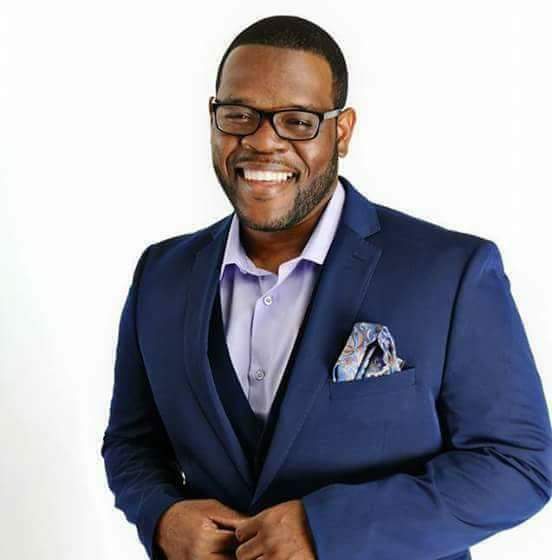 NASHVILLE — When Aaron Jordan, Jr. witnessed the much-anticipated release of his book, “The Power Within, A Woman’s Worth: From Both Sexes,” in July 2014, this Nashville-area award-winning author was the beneficiary of countless rave reviews. So much, in fact, that it is safe assume that Jordan, Jr. is about to embark upon even more favorable feedback. That’s because over the weekend, Jordan, Jr.’s “A Woman’s Worth: From Both Sexes” (Extended Version/Second Edition) officially hit the market and is available for purchase on Amazon.com. Just like his remarkably compelling first edition, “A Woman’s Worth: From Both Sexes” (Extended Version/Second Edition) figures to leave Jordan, Jr.’s reading audience on the edge of its seat, considering this longtime middle-Tennessee-based syndicated radio personality and television talk show host addresses an assortment of key relationship-oriented topics that could greatly enhance or spice up one’s life. 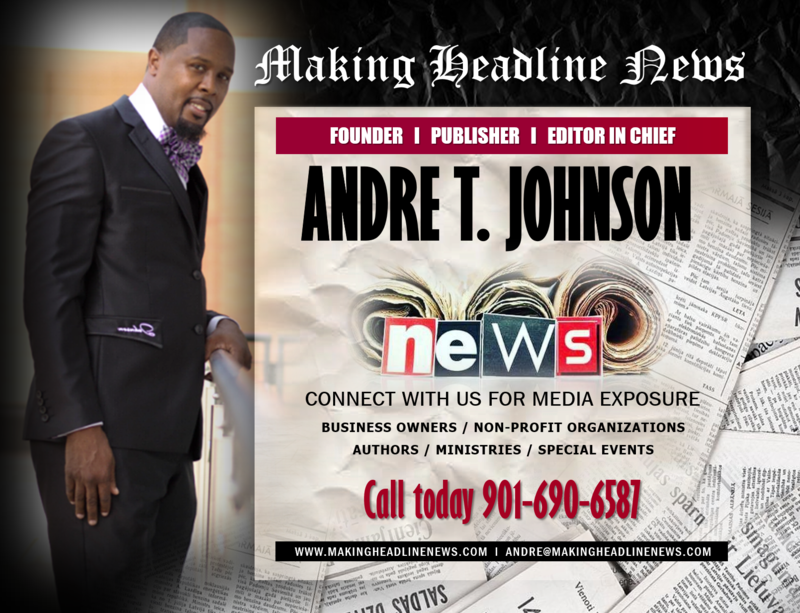 “(God) pressed upon me to add more substance and meat,” Jordan, Jr. told Making Headline News. 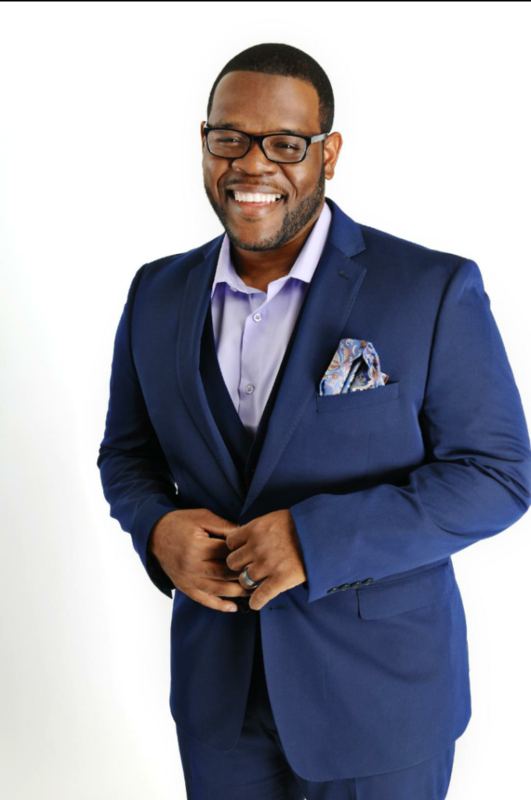 To his credit, he has done just that, even going as far as to raise an assortment of thought-provoking questions, most notably: Have you ever wondered why your relationships and dating experiences make you feel like it’s hard for you to find love? And why do you constantly settle for less than what you deserve? BUY AARON’S BOOK HERE: https://www.amazon.com/Power-Within-Womans-Worth-Sexes/dp/154691093X/ref=redir_mobile_desktop/147-8413822-1274452?_encoding=UTF8&dpID=51vR6lgnGoL&dpPl=1&keywords=The%20Power%20Within%2C%20A%20Woman%27s%20Worth&pi=AC_SX236_SY340_FMwebp_QL65&qid=1497587919&ref=plSrch&ref_=mp_s_a_1_2&sr=8-2. All things considered, in “A Woman’s Worth: From Both Sexes” (Extended Version/Second Edition), Jordan, Jr. aids his audience mightily, particularly with regards to truly harnessing and understanding their value in what he appropriately describes as the dating world. STANDING BY HER MAN — Jordan attributes much of his success to his wife, Ashley Jordan, and his daughter, Teanna. 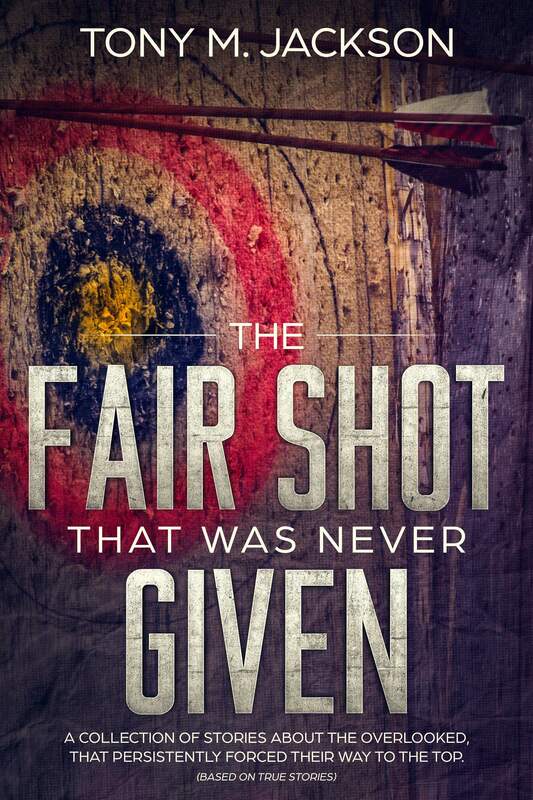 In essence, his latest book inspires his readers to take themselves out of what he labels the “victimized viewpoint” to where they can be able to grasp a “good hard look” at themselves and their situation. STAR WATCH — Jordan, Jr.’s has become a fixture when it comes to crossing paths with celebrities. 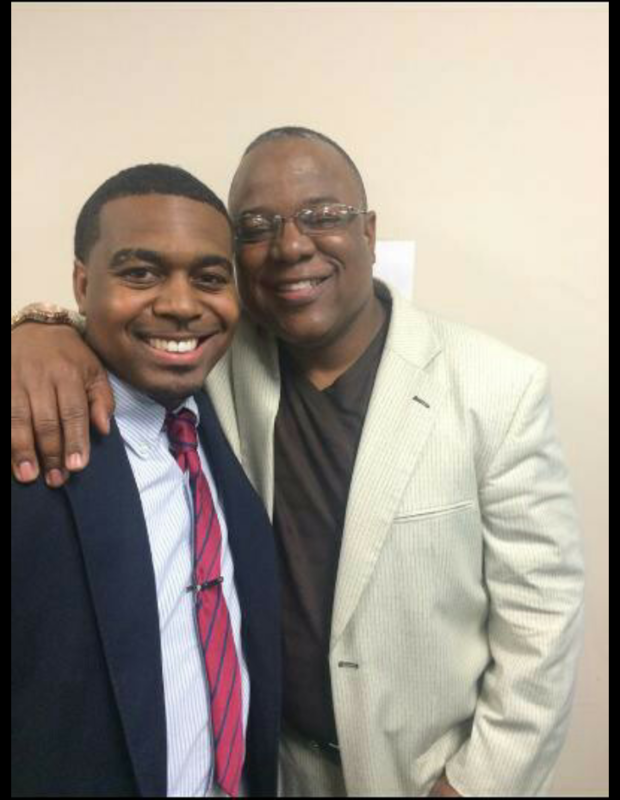 Pictured with him is renowned gospel recording artist, Pastor Shirley Ceasar. 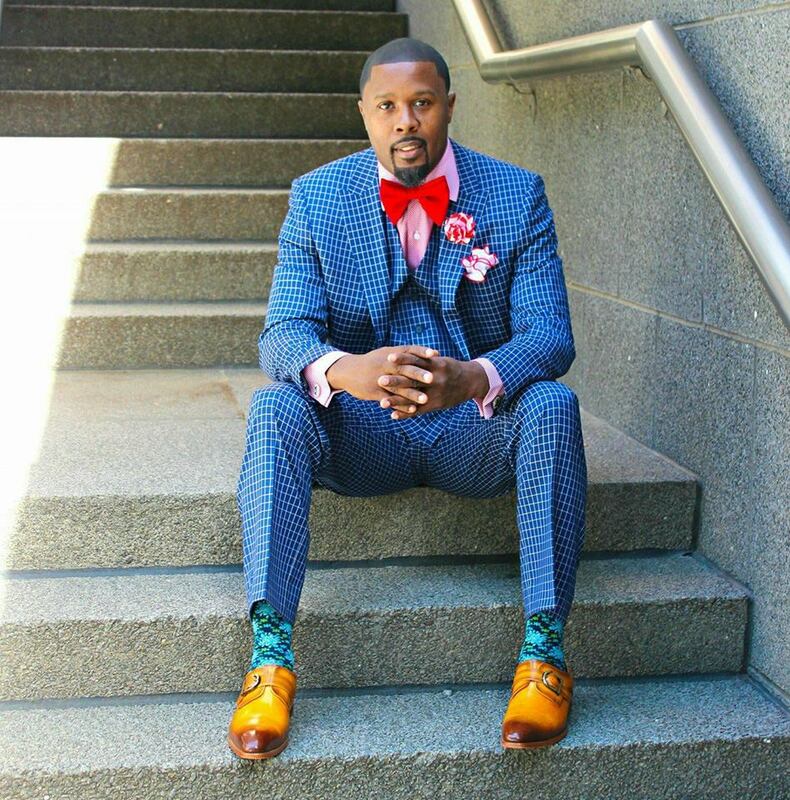 A native Memphian who is widely known as “Mr. 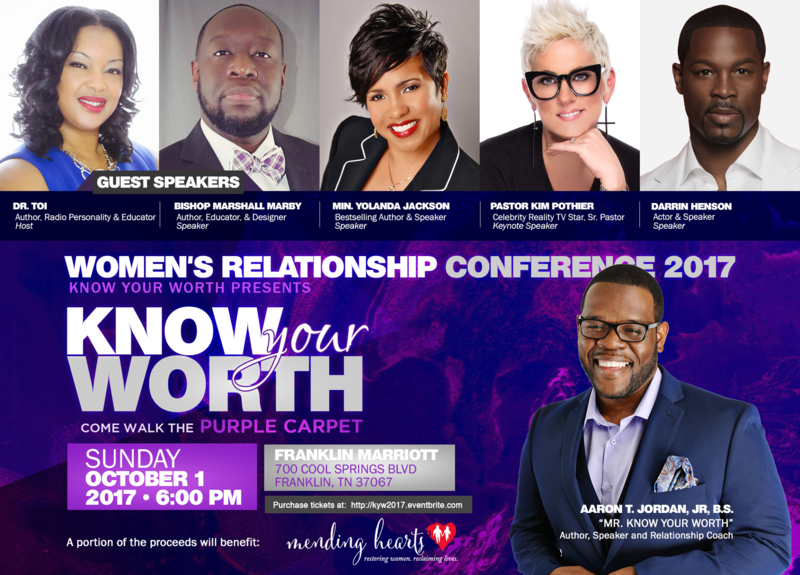 Know Your Worth,” Jordan, Jr. also is a longtime motivational speaker, relationship expert and the mastermind behind three books to date. By and large, his latest book appropriately breaks down the philosophy of dating into what he has coined as five steps we typically to skip when it comes to finding true love. And here’s the real kicker Jordan, Jr. deemed it essential to pass along to his reading audience. “If you want to be taken serious in your love life, then you should take finding love seriously,” Jordan, Jr. said. 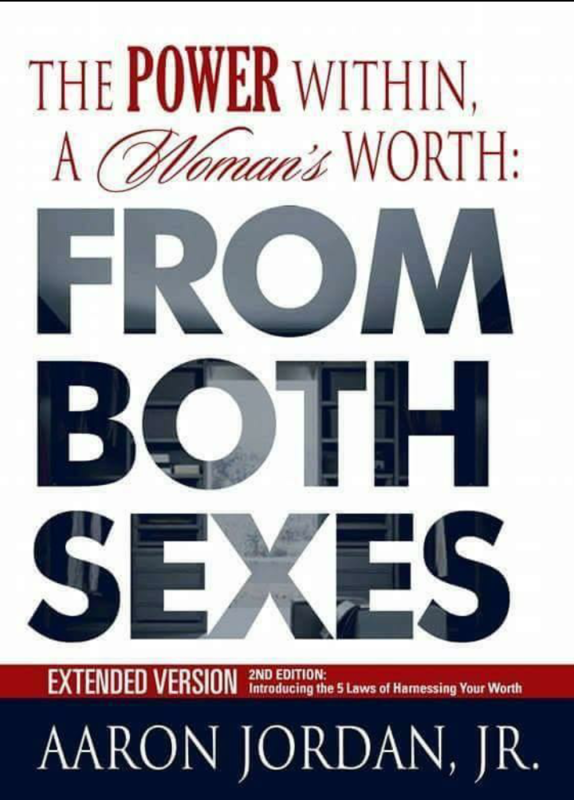 As for the divine message for which he was inspired to produce “A Woman’s Worth: From Both Sexes” (Extended Version/Second Edition), Jordan, Jr. emphasized, among other things, that women are not to be defined by their sometimes turbulent past and men are to grasp the vital notion that they are predestined for leadership. 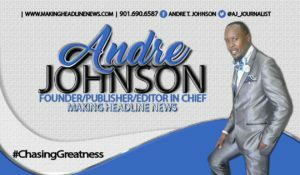 As expected, the feedback since the weekend online release of Jordan, Jr.’s book has been favorable which, of course, isn’t a huge surprise, considering his recent achievements and accolades were only signs of things to come. 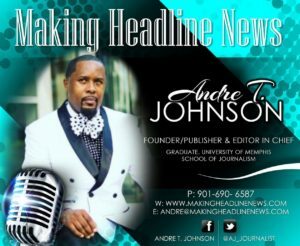 NO BIG SURPRISE, REALLY — As expected, the feedback since the weekend online release of Jordan, Jr.’s book has been favorable which, of course, isn’t a huge surprise, considering his recent achievements and accolades were only signs of things to come. 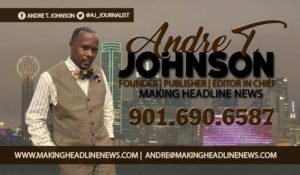 Because Jordan, Jr.’s first installment of “The Power Within, A Woman’s Worth: From Both Sexes” was a monumental success, he admittedly has adopted greater goals and ambitions for his new book. 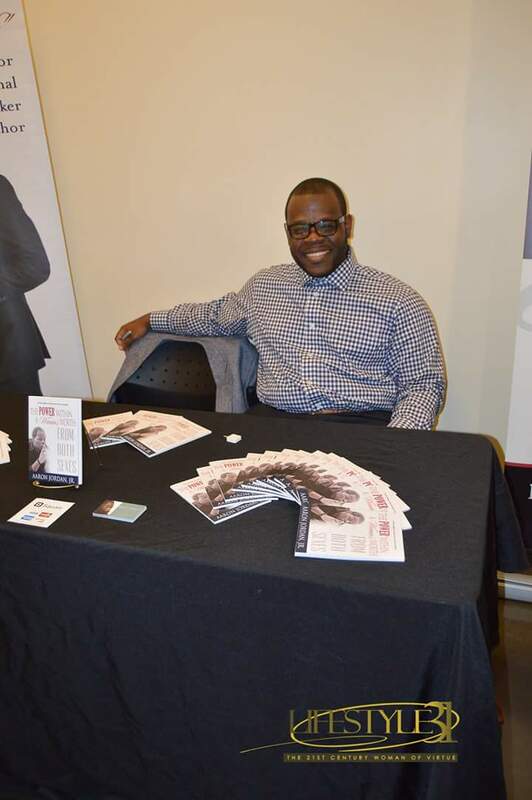 “I want to go all out for the marketing of this book to reach that 10,000 goal (in books sold),” Jordan, Jr. said. 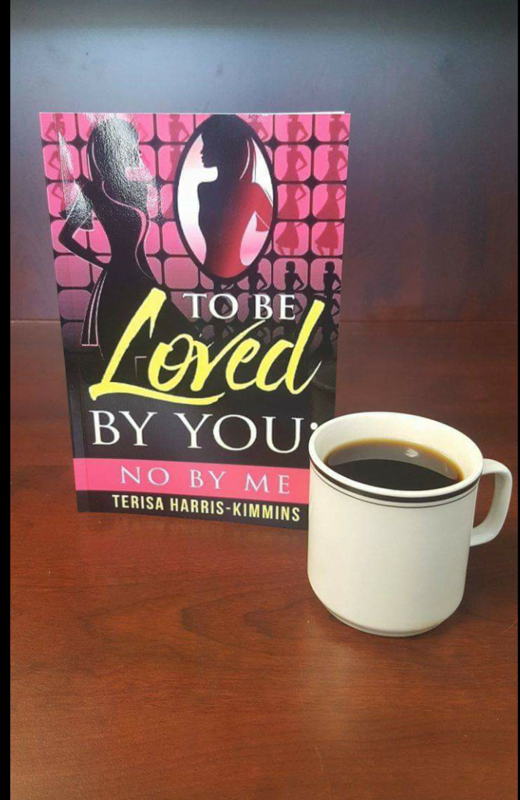 WELL WORTH IT — Jackson, Tennessee-area author and businesswoman Terisa Harris-Kimmins needed approxiamtely one month to write, “To Be Loved By You: No By Me,” a 78-page book that inspires women to connect with their God-given worth. Terisa Harris-Kimmins knows full well. She knows full well that she undoubtedly is fearfully and wonderfully made. She knows full well that God has strategically set her aside for His use. She knows full well that is it better to put her trust in the Lord than to put her confidence in man. Most of all, she knows well that when all else fails, when people let her down, when her faith seems bleak and she seems to be on shaky ground, she has her Creator to Whom she can turn. 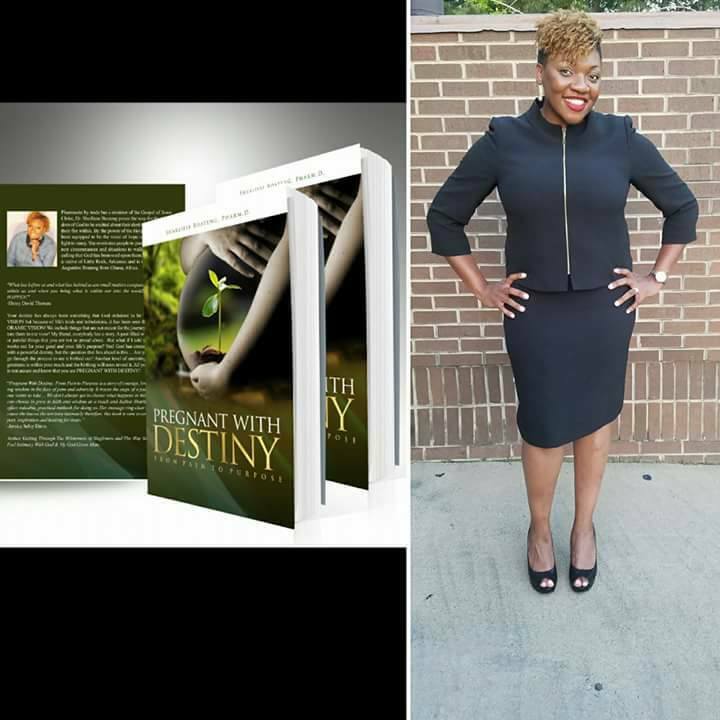 ON THE MARKET — A 78-page, paperback written document that was officially released to the public on April 14, Harris-Kimmins said that God had given her the vision to produce this book approximately two years ago, a concept that had initially arose during which God birth her ministry called WOA, or Women of Action. 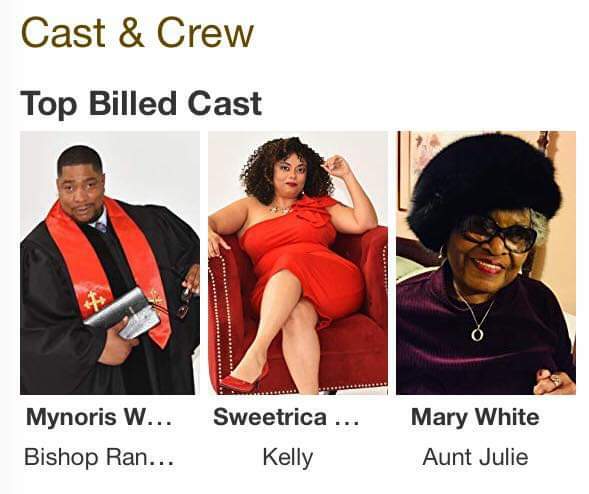 A 78-page, paperback written document that was officially released on April 14, Harris-Kimmins said that God had given her the vision to produce this book approximately two years ago, a concept that had initially arose as founder of her women’s ministry called, WOA, or Women of Action. 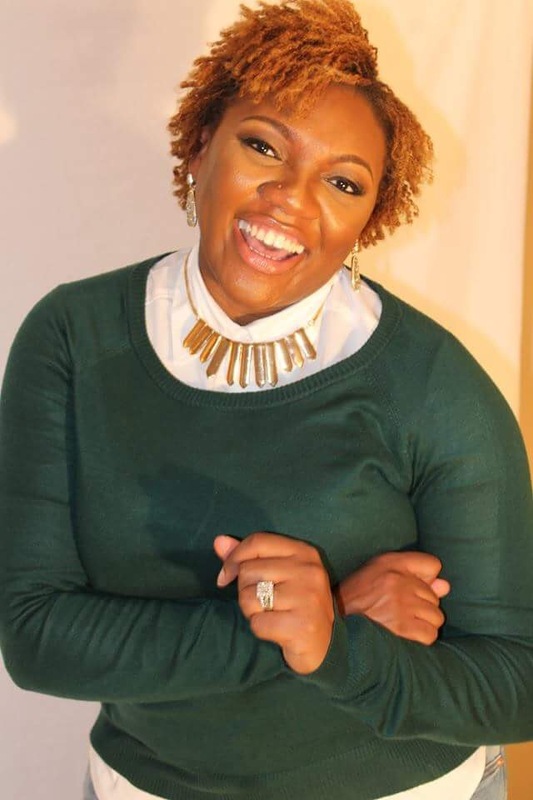 In addition, she is founder of the MerCi Empowerment Ministry (or MEM), which is a ministry she strives to encourage, motivate, and empower individuals to pursue their dreams. IF GOD SAID IT, THAT SETTLES IT — As Harris-Kimmins suggest, her readers must not concern themselves with what other say about them. Rather, they must concern themselves with what God says about them through His word. All of which essentially sums up why this thriving, progressive author and West Tennessee-area businesswoman poses one intriguing question when providing details about her book, which can be purchased at Amazon.com. That question is: Who am I? 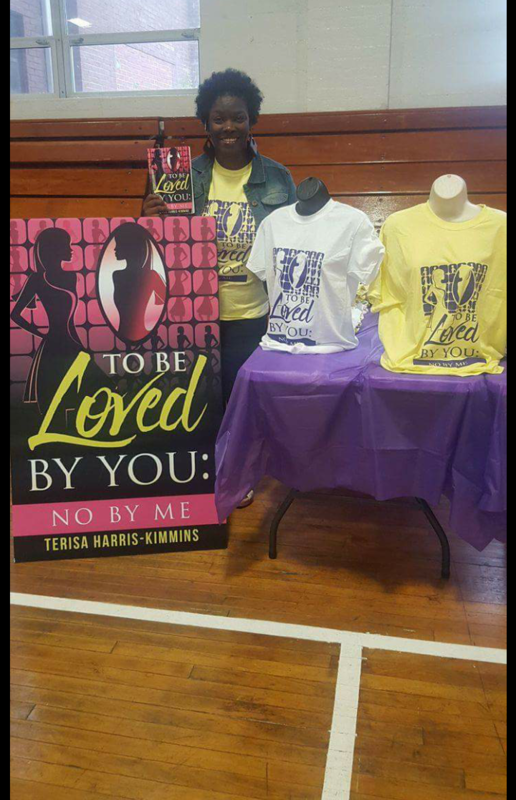 BUY TERISA’S BOOK HERE: https://www.amazon.com/loved-you-Mrs-Terisa-Harris-Kimmins/dp/1544865023. And, as Harris-Kimmins suggest, her readers must not concern themselves with what others say about them. Rather, they must concern themselves with what God says about them through His word. After all, God’s stamp of approval is what counts the most. 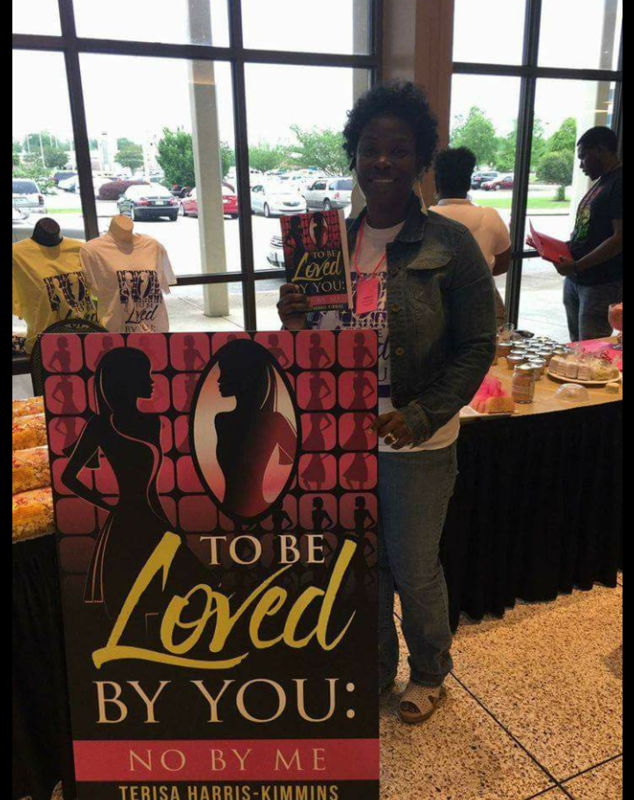 Self-love, coupled with God’s approval and large doses of favor are extremely key as well, Harris-Kimmins acknowledges through her book. Well, that’ll preach. 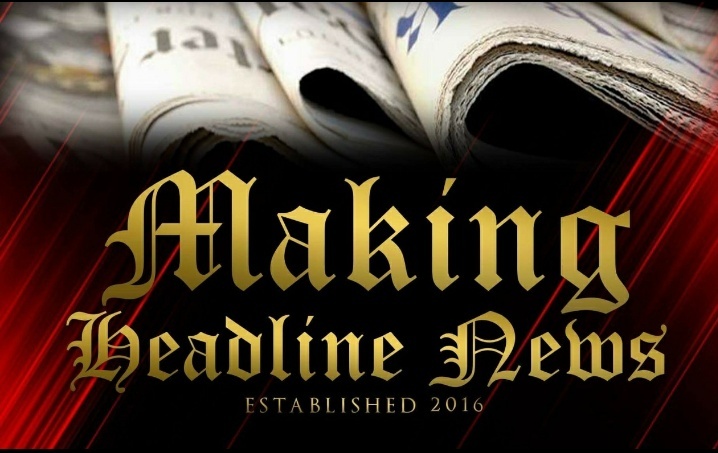 But wait, there’s more this devout woman of faith felt compelled to get across to her readers, particularly those who are in desperate need for some encouragement for such a time as now. As expected, the feedback through “To Be Loved By You: No By Me” has been favorable. Harris-Kimmins said now is the time to push and promote her book on a much larger platform as her schedule over the next few months is starting to fill up. MARINATE ON THAT — And, as Harris-Kimmins suggest, her readers must not concern themselves with what other say about them. Rather, they must concern themselves with what God says about them through His word. 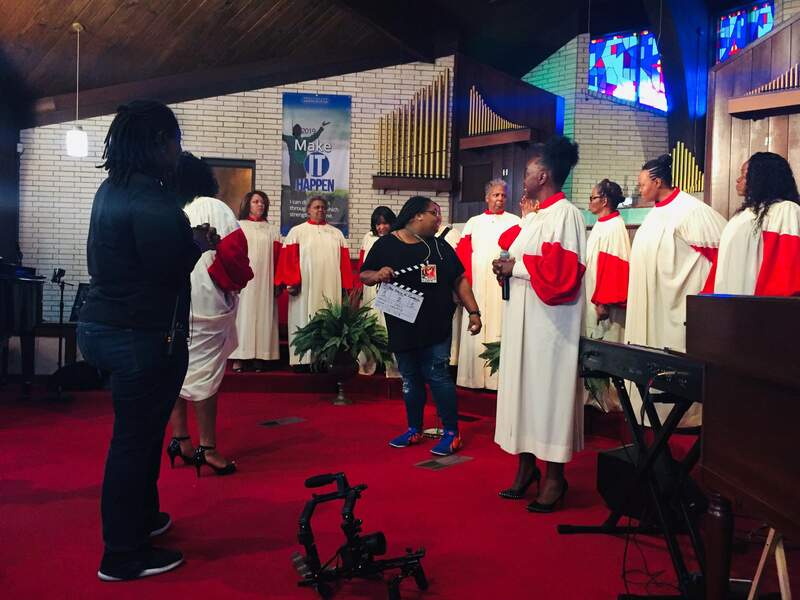 On September 9, she will be hosting her Third Annual WOA (Women of Action) Banquet at First Christian Church, located at 1347 Campbell Street in Jackson. 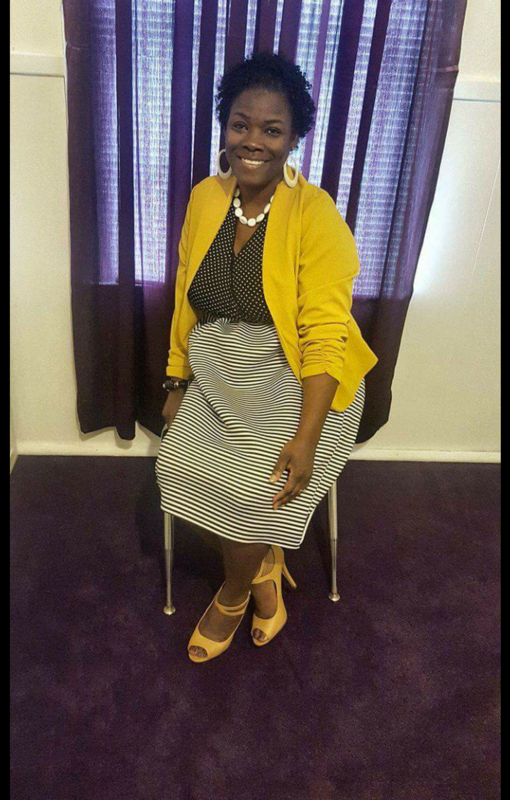 Also, she will be on hand for the Millions Conference in Atlanta September 29-30. By and large, both events will afford her the golden opportunity to promote her new book. Fortunately for her, she knows full well now. 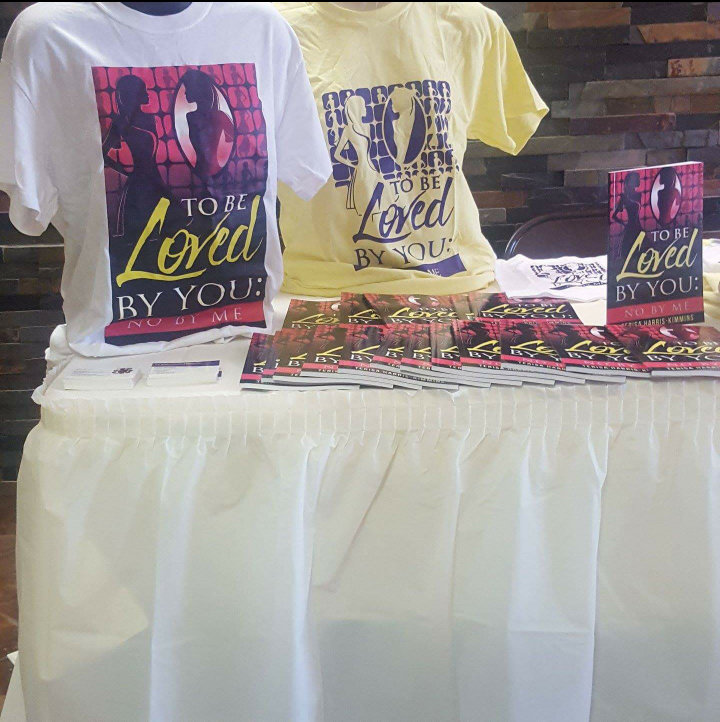 For more information about Terisa Harris-Kimmins, to schedule her for booking engagements, or to order her book or T-shirts, log on to: www.terisakimmins.com. 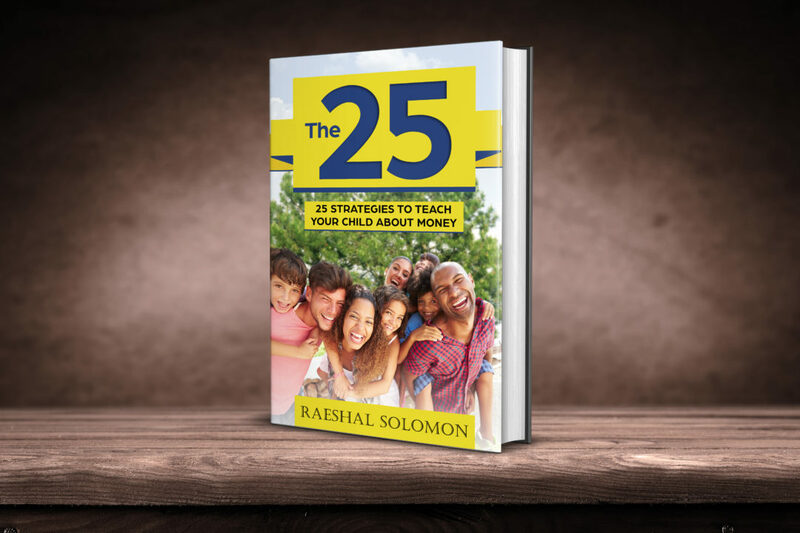 NASHVILLE — Of the 23 children’s books Raeshal Solomon has written, three of them have been officially published and released. That alone is a miracle. 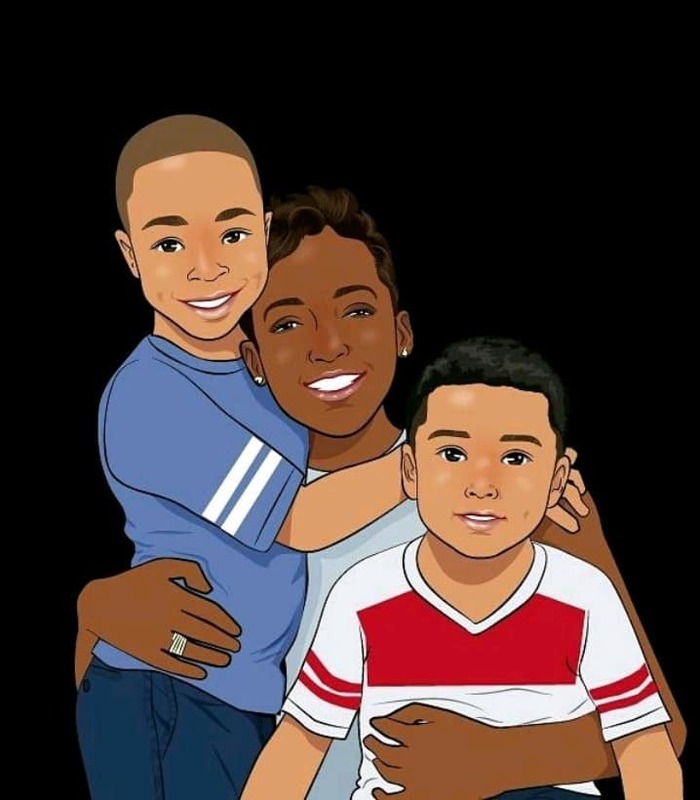 Consider, for instance, how for years, Solomon, a dynamically beautiful single mother of two four-year-old boys — one of whom she has legal custody — has had to endure being stricken by sickle cell. For the record, Romans 8:28 reads: And we know that in all things God works for the good of those who love him, who have been called according to his purpose. 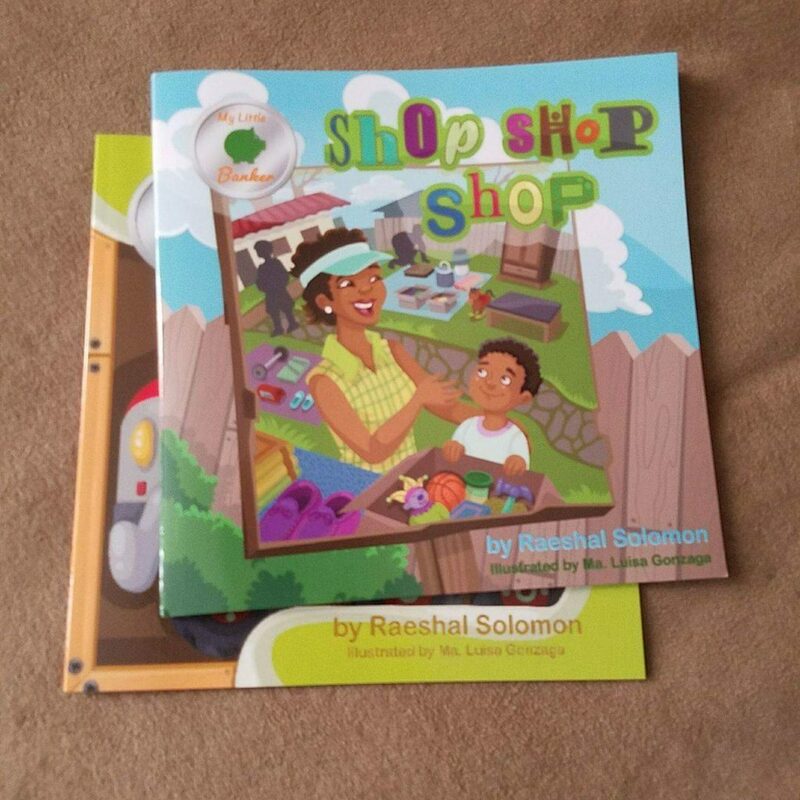 As Solomon explained, her featured project is Shop Shop Shop, primarily because there is a few pivotal life lessons in that book directed toward her sons. Given the constant success Solomon has savored in recent years as an accomplished author, it is a foregone conclusion that she undoubtedly has been called and set aside for God’s purpose. That’s because for a professional author who has become a fixture and found her niche in this ever-so-competitive industry, the past three years essentially have proven to be a defining moment, of sorts, for this native of Johns Island, South Carolina. 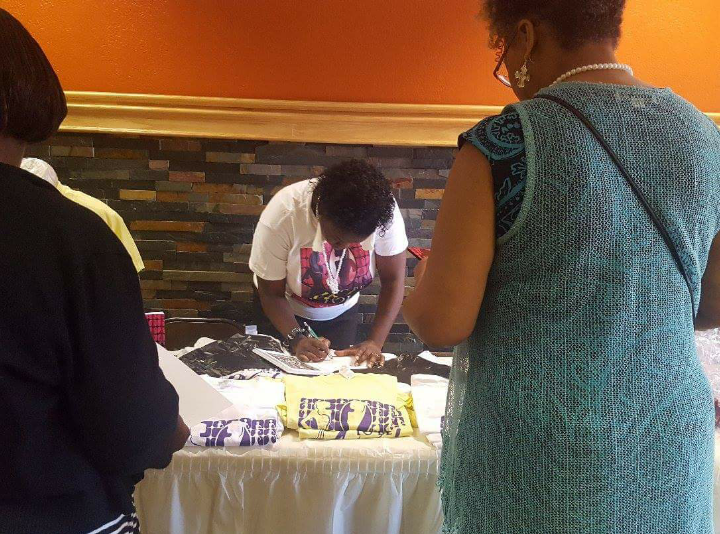 Solomon’s latest published book is entitled, Gale’s Day of Giving, which was released in 2016. 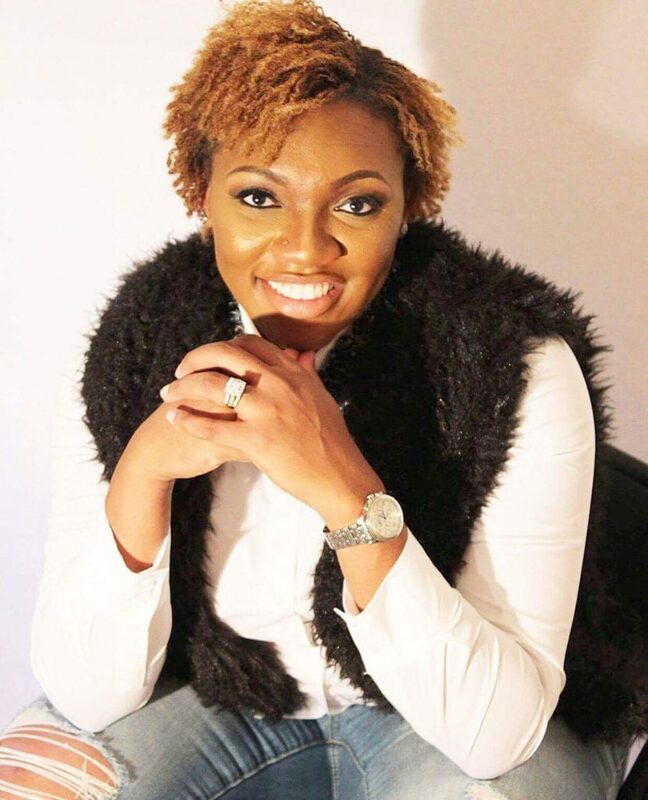 Prior to that project, she wrote and released both Shop Shop Shop and Tim’s Red Rudy 2015, a feat that had ultimately come full circle after God had miraculously provided her with the vision for writing books some time in 2014. 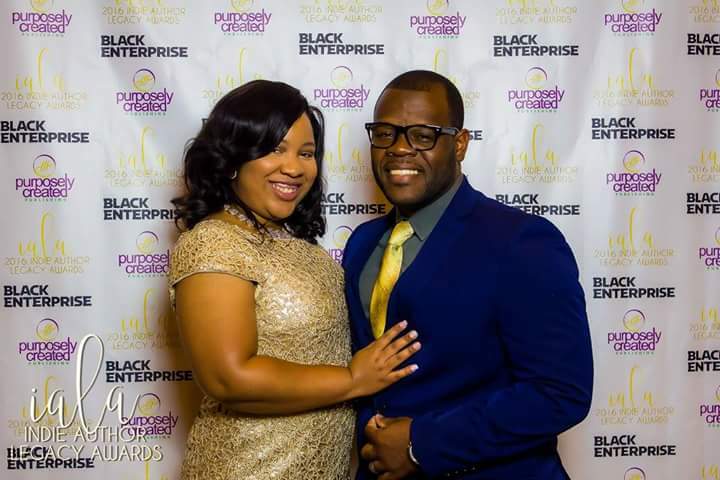 DYNAMIC DUO — All things considered, Solomon is appreciative of the fact that not only has God given her a vision that has greatly changed her life but, most of all, she’s giddy her gifts through authorship is impacting the lives of youths. Starting with her faithful two. “God gave me the books in 2014,” Solomon said. To her credit, she has appropriately embraced this God-mandated assignment, in large part because, after all, she has been called according to His purpose. 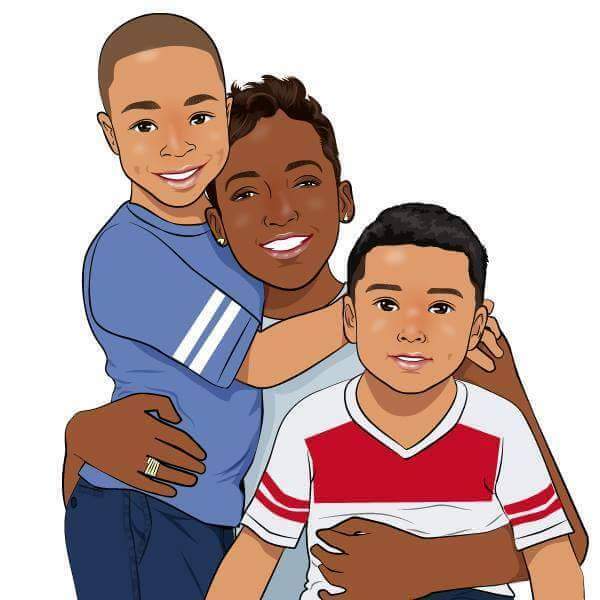 As Solomon explained, her featured project is Shop Shop Shop, primarily because there are a few pivotal life lessons in that book directed toward her sons. YOU GO GIRL!!! 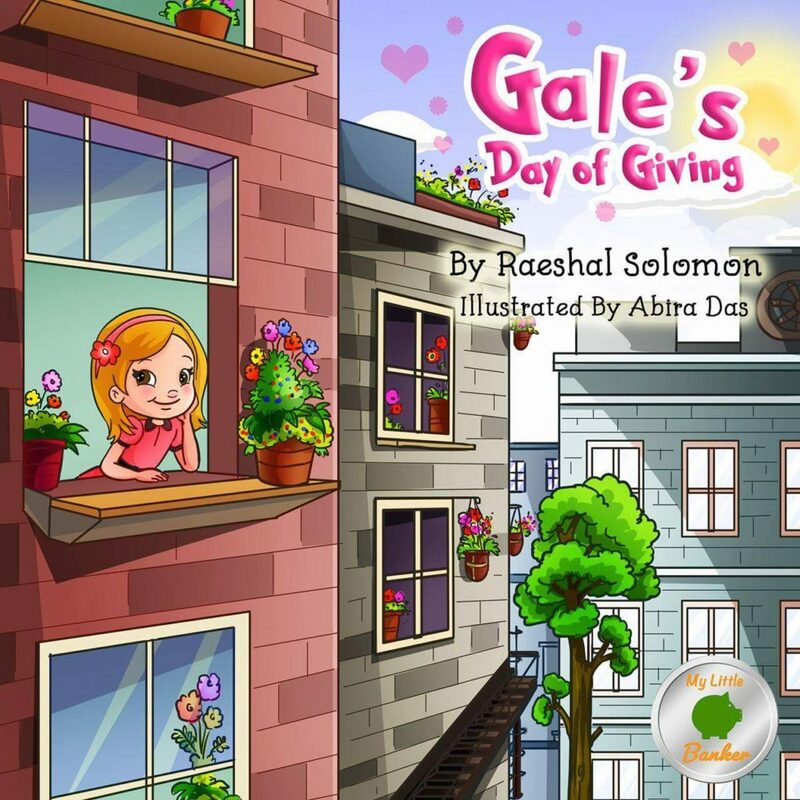 Solomon’s latest published book is entitled, Gale’s Day of Giving, which was released in 2016. 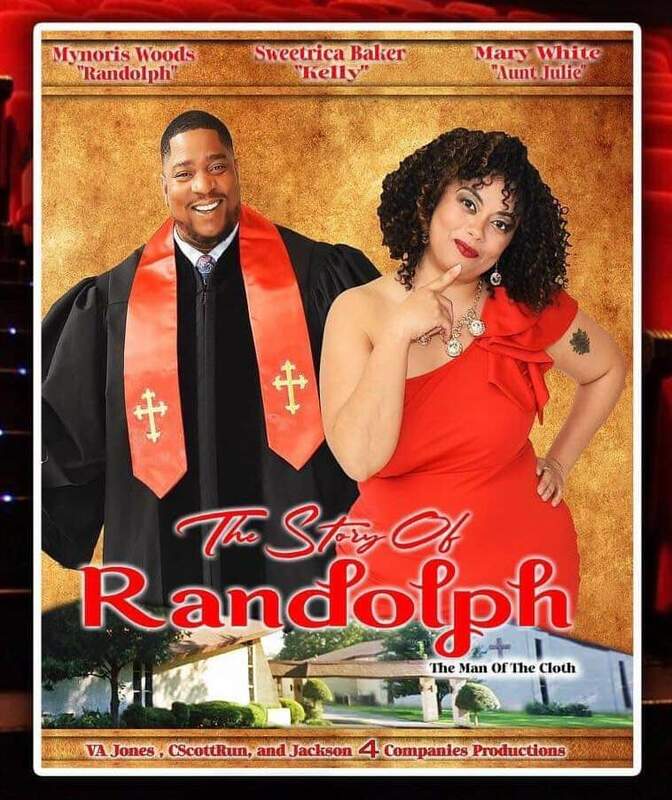 Prior to that project, she wrote and released both Shop Shop Shop and Tim’s Red Rudy 2015, a feat that came that had ultimately come full circle after God’s provided her with the vision for writing books some time in 2014. Solomon has since been writing children’s books, a trend that — for a lack of better words — figures to change a generation. Starting with her faithful two. 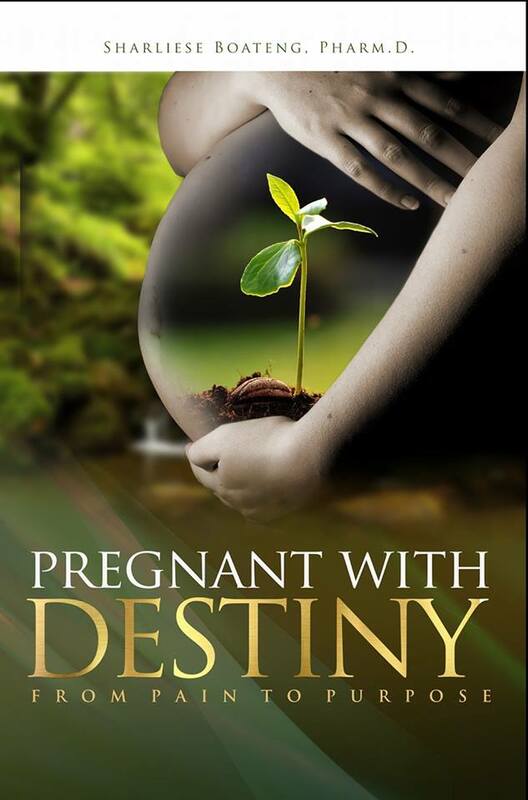 There is, by all accounts, a divine message Solomon is sending to her audience through her compelling books. 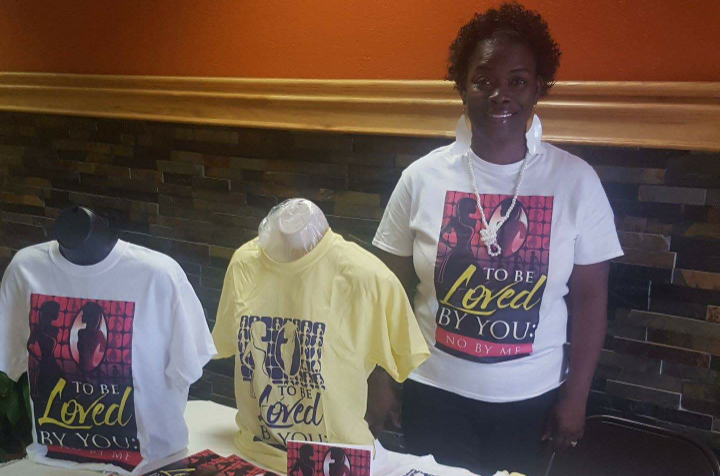 All things considered, Solomon is appreciative of the fact that not only has God given her a vision that has greatly changed her life but, most of all, she’s giddy her gifts through authorship is impacting the lives of youths. 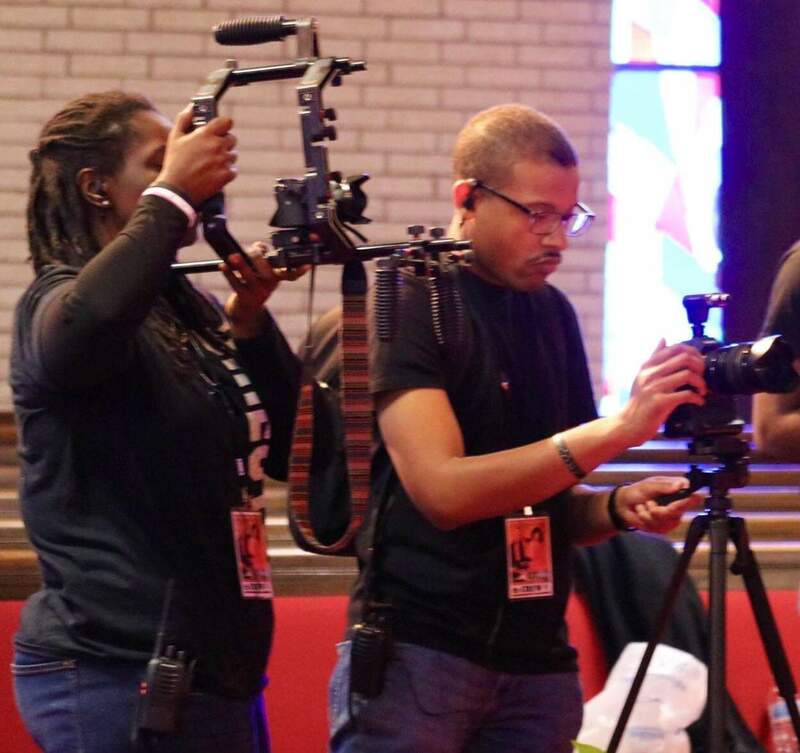 All things considered, Solomon is appreciative of the fact that not only has God given her a vision that has greatly changed her life but, most of all, she’s grateful in that her gifts through authorship are impacting the lives of youths. 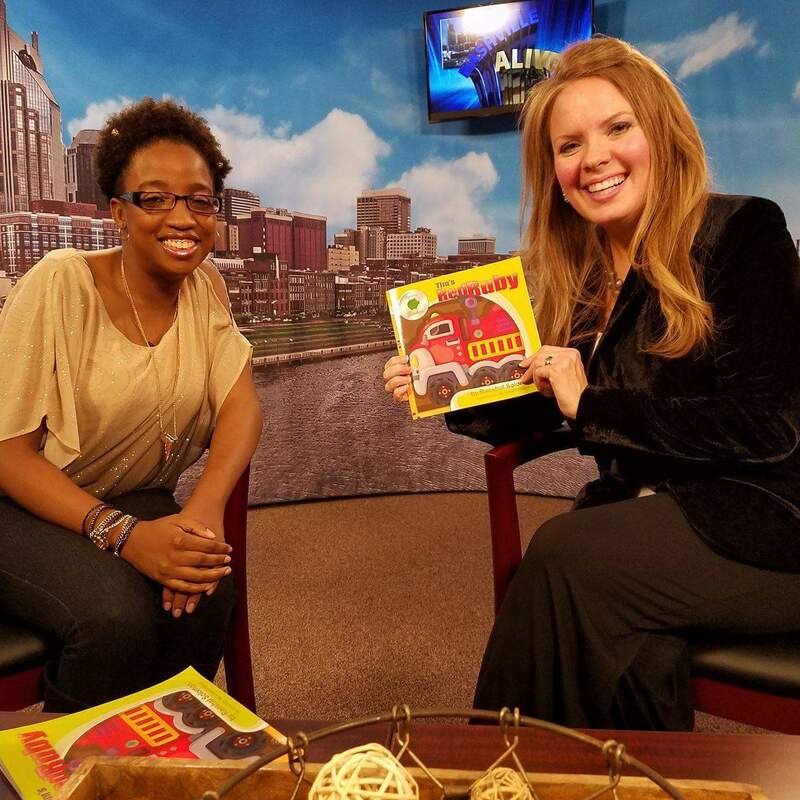 Starting in mid-August, Solomon, who currently resides in Nashville, will start an 18-month nationwide elementary school book tour. First up will be a tour in which she will read Shop Shop Shop to students. As for the remainder of the tour, she said dates and cities will be announced on her websites: www.mylittlebanker.com and www.raeshalsolomon.com. 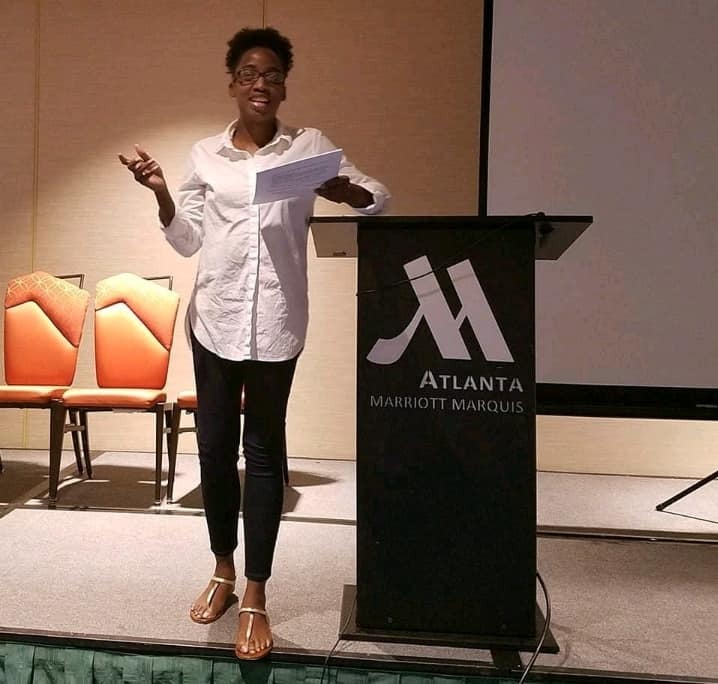 In addition, Solomon, who is an active member of ABR Network and Chicks Connect, said her first book for teens will be released some time in 2018. Something her faithful two knows firsthand. 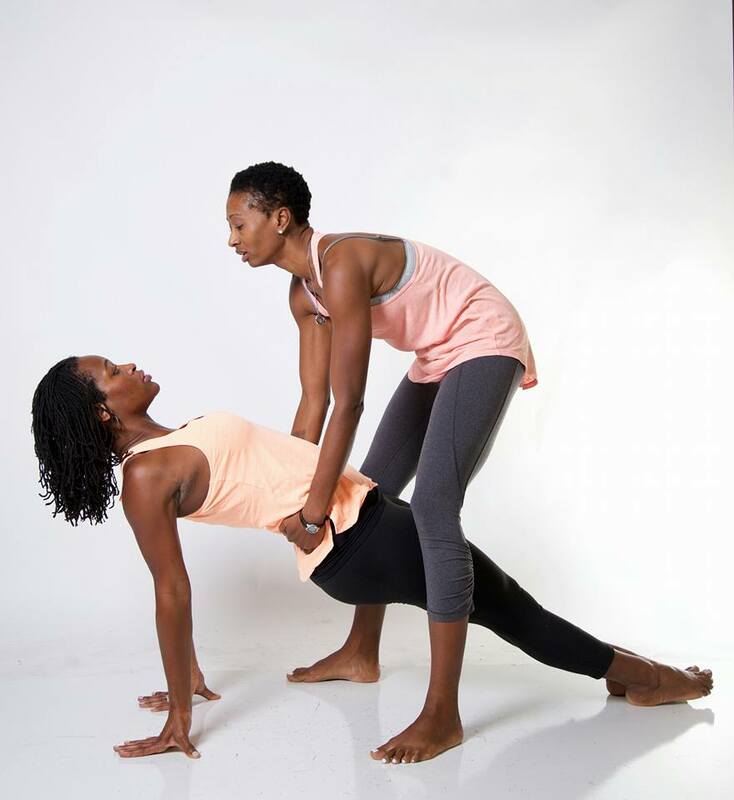 CAMP-O YOGA — A 35-year-old mother of three, Libby Campo is well-established entrepreneur as owner and chief operating officer of Your Inner Yogi. 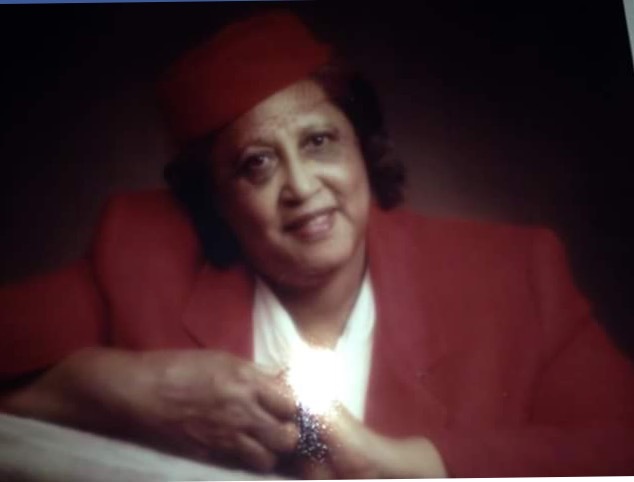 Libby Campo and her family have been residing in Memphis for approximately 12 years. 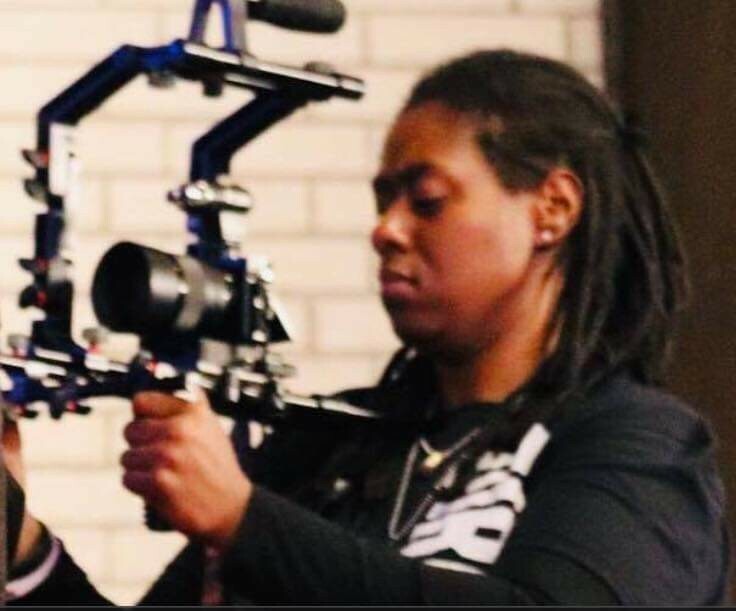 Not only has Campo, a proud product of the East Coast — she’s a native of Newark, New Jersey but was raised in nearby East Orange — become thoroughly familiar with life in the South but, to her credit, she’s making some pretty major moves in the process. 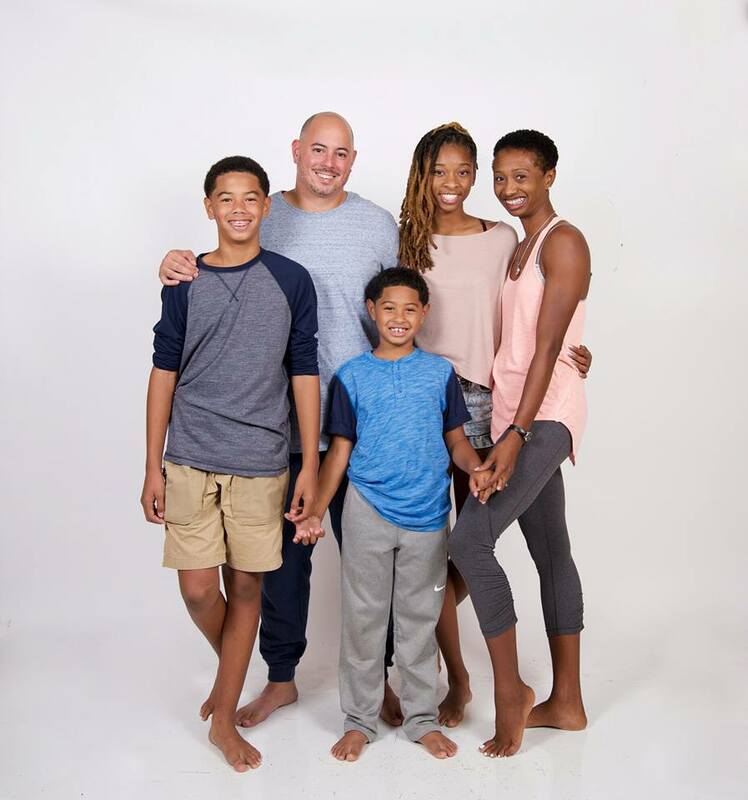 A 35-year-old mother of three, Campo is a well-established entrepreneur as owner and chief operating officer of Your Inner Yogi. 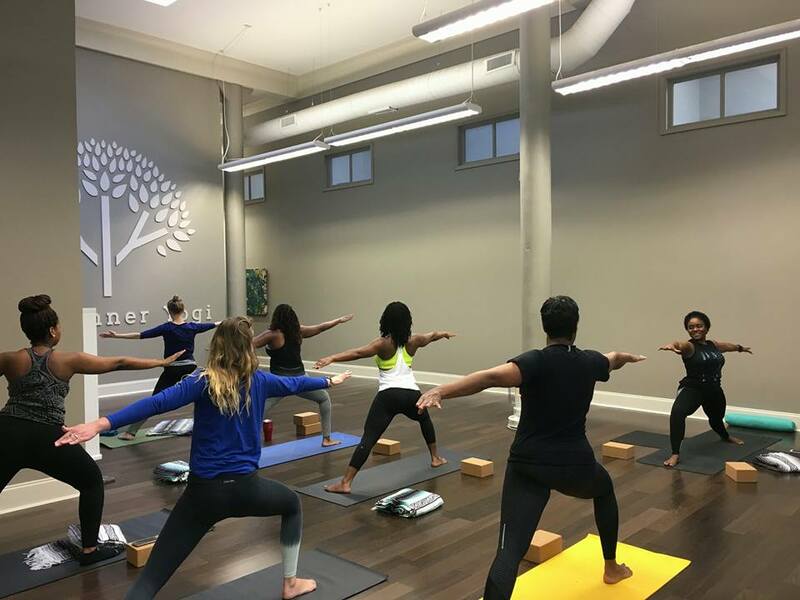 Located at 10 North Second Street across from the famous Court Square in the heart of downtown Memphis, Campo — with the solid support of her husband, Hector Campo — is believed to be the only minority yoga business owner in the Memphis metropolitan area. 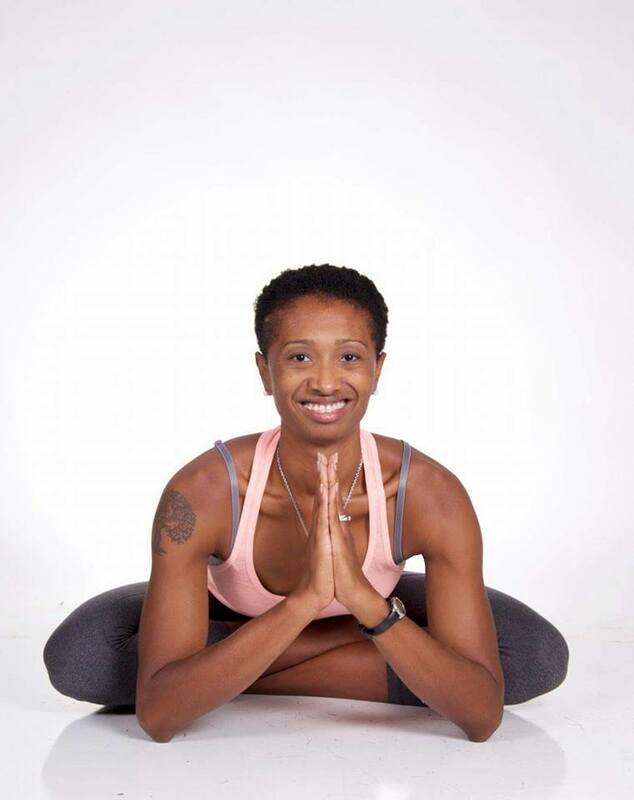 MAKING MAJOR MOVES — As Libby Campo acknowledged, her regular yoga routine started out as a personal strategy before she was inspired to start up what she described as a 30-day trial on Facebook. 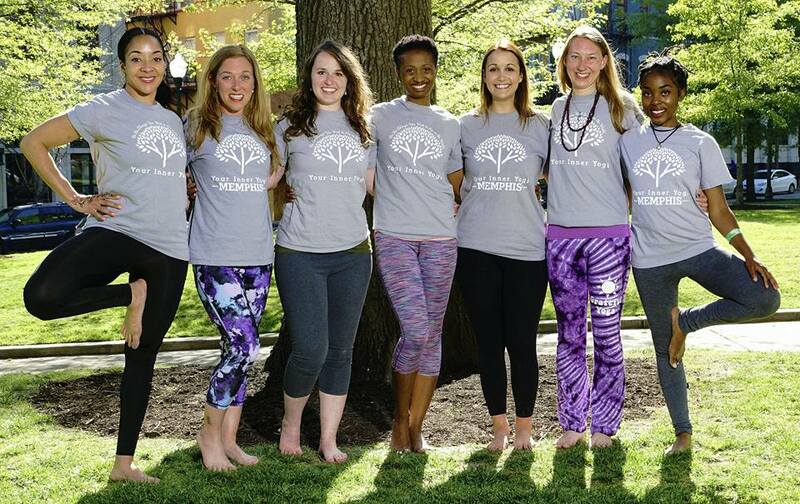 A business that officially opened for operations last year, Libby Campo, during an interview with Making Headline News this week, explained in great detail how she had become passionate about yoga — a group of physical, mental, and spiritual practices or disciplines that were originated in ancient India — which consequently inspired her to organize a full fledge business. 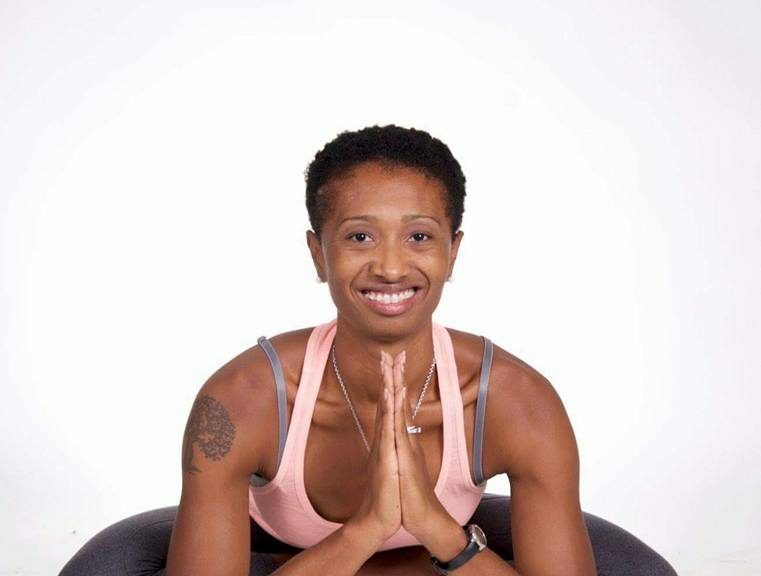 As Libby Campo acknowledged, her regular yoga routine started out as a personal strategy before she was inspired to start up what she described as a 30-day trial on Facebook. 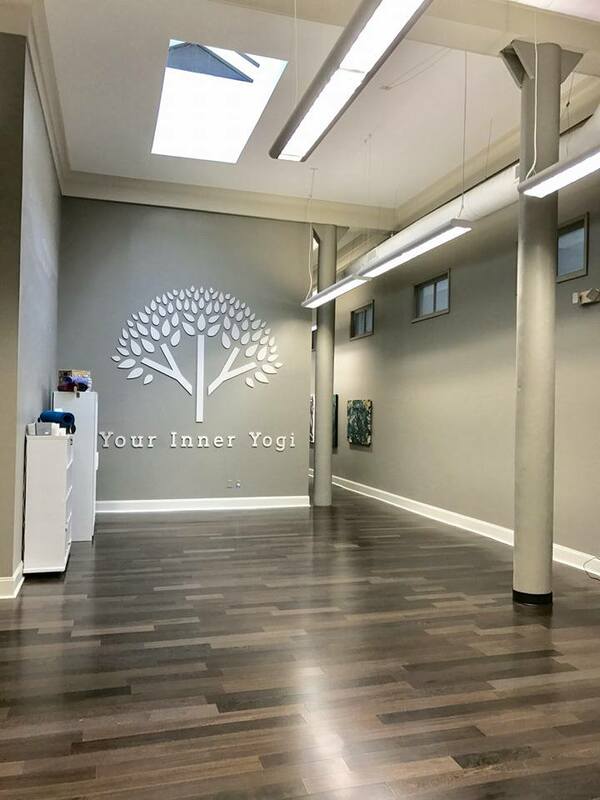 A business that officially opened for operations in last year, Libby Campo, during an interview with Making Headline News this week, explained in great detail how she had become passionate about yoga — a group of physical, mental, and spiritual practices or disciplines that were originated in ancient India — which consequently inspired her to organize a full fledge business. All things considered, though, none of this likely would not have come to fruition if Libby Campo had not cleared arguably one of the greatest hurdles of her life. Still clinging to hopes of getting a good education, Libby Campo — who would have been a fifth-year senior had she stayed in school, she said — chose to attend an Edison, New Jersey-area Job Corps. 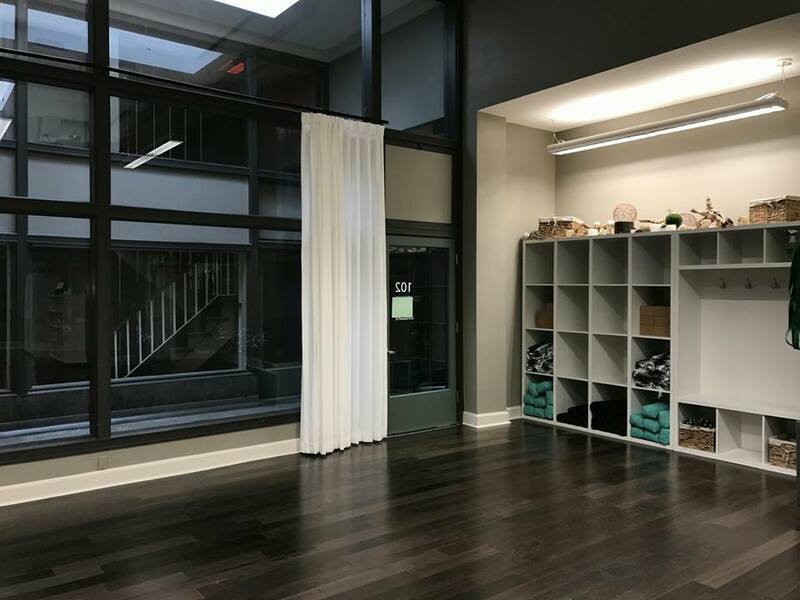 Located at 10 North Second Street across from the famous Court Square in the heart of downtown Memphis, Campo — with the solid support of her husband, Hector Campo — is believed to be the only minority-owned yoga business in the Memphis metropolitan area. That is when her life began to change for all the right reasons. 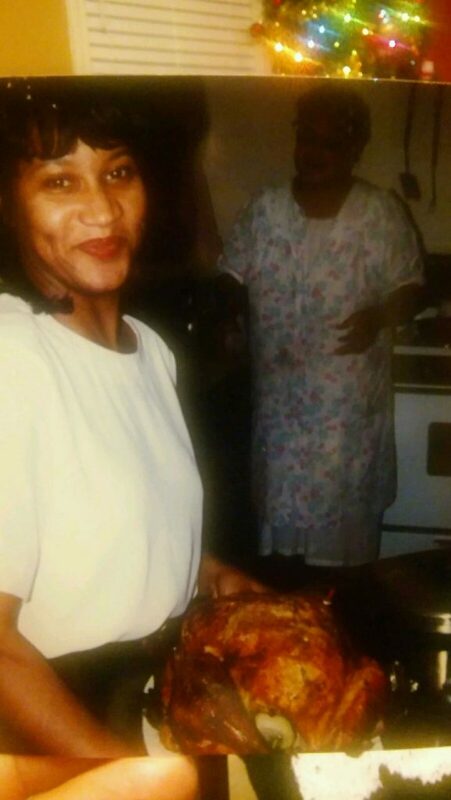 She loved it so much, in fact, that she earned her GED in 1998, or less than six months after enrolling in Job Corps, a program administered by the United States Department of Labor that offers free-of-charge education and vocational training to young men and women ages 16 to 24. 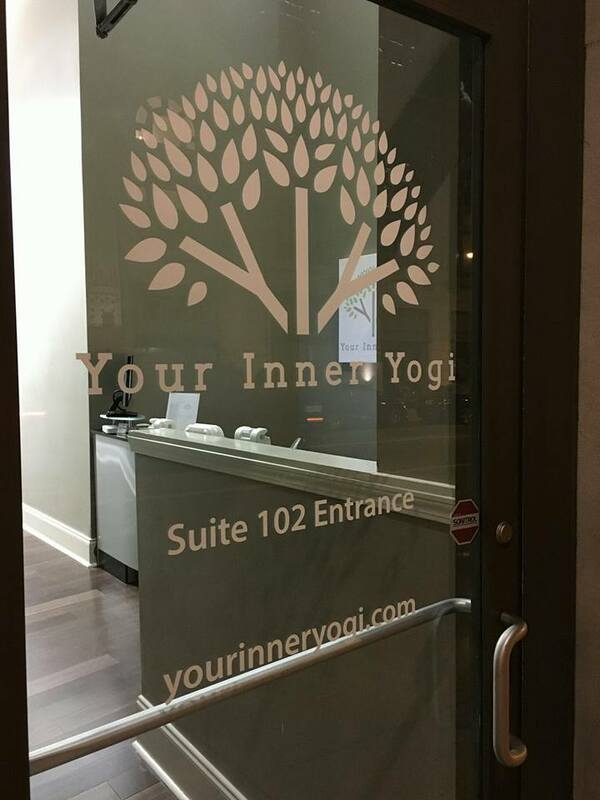 CHECK OUT YOUR INNER YOGI ONLINE: www.yourinneryogi.com. 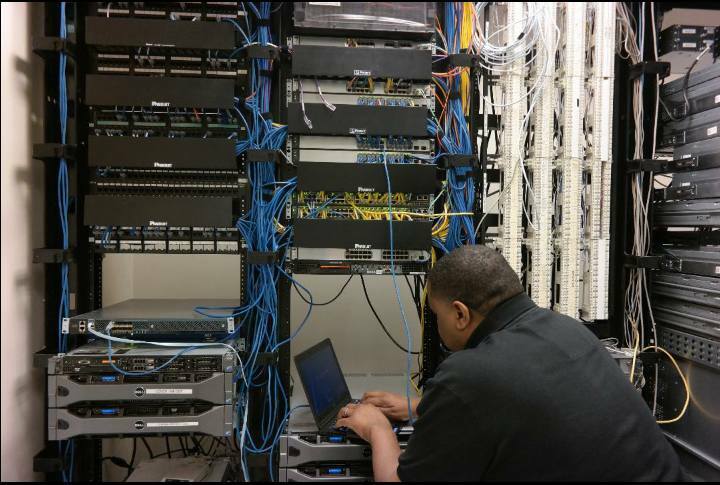 Just like she steadfastly embraced Jobs Corps, she essentially took it up a notch when she ultimately enrolled part-time at Southwest Tennessee Community College. 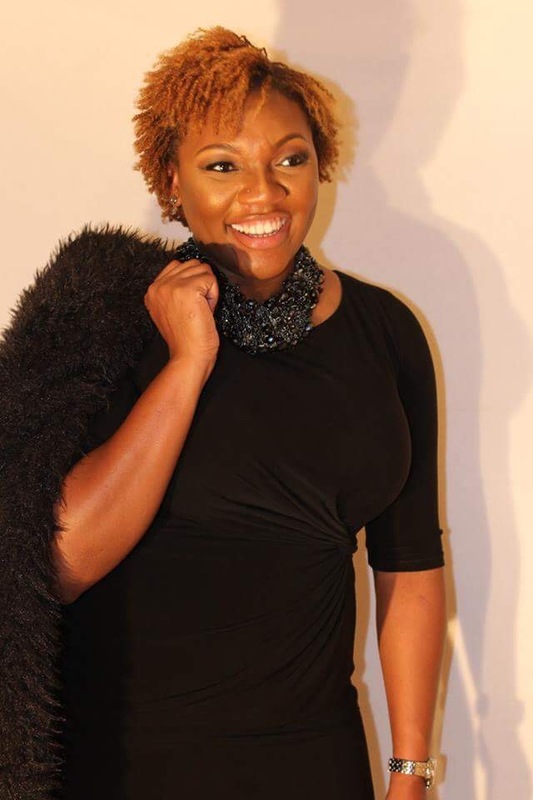 Then in 2012, she enrolled at the University of Memphis, and that is when things became more remarkable for this brilliantly talented young lady who was raised in inner city East Orange. And, as a result to the unyielding support of Hector, coupled with his wife’s past success at Job Corps, Libby Campo pulled the unthinkable. Once again. 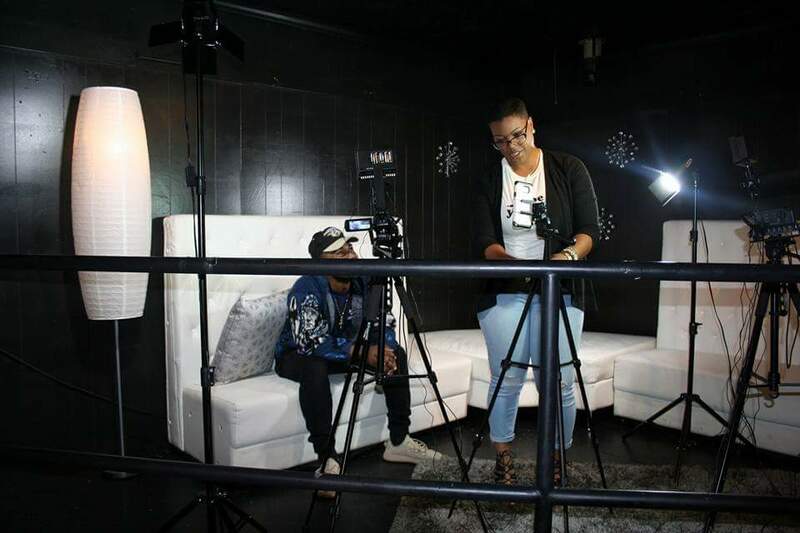 Not only has Campo, a proud product of the East Coast — she’s a native of Newark, New Jersey but was raised in nearby East Orange — become thoroughly familiar with life in the South but, to her credit, she’s making the most of it. She eventually earned her undergraduate degree in Interdisciplinary Studies with an emphasis in Organizational Leadership and Behavior Science in Spring 2014. 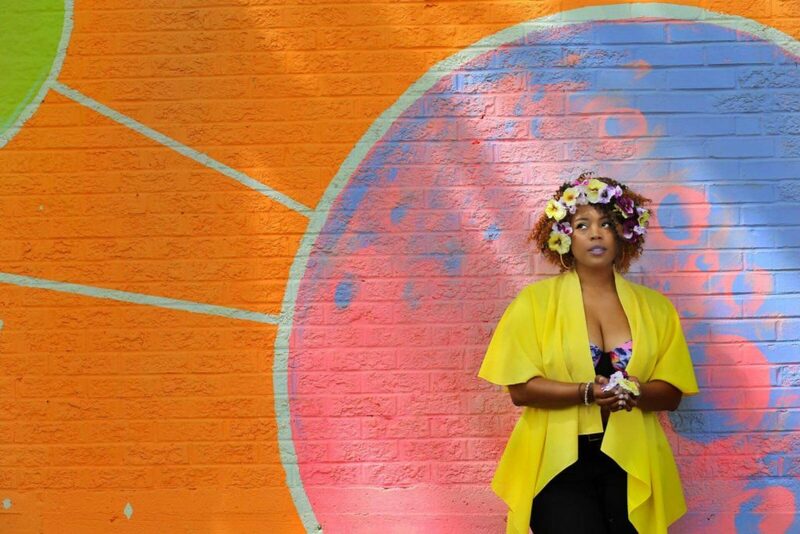 As she tells it, her desire to delve off into entrepreneurship was discovered back in Jersey. 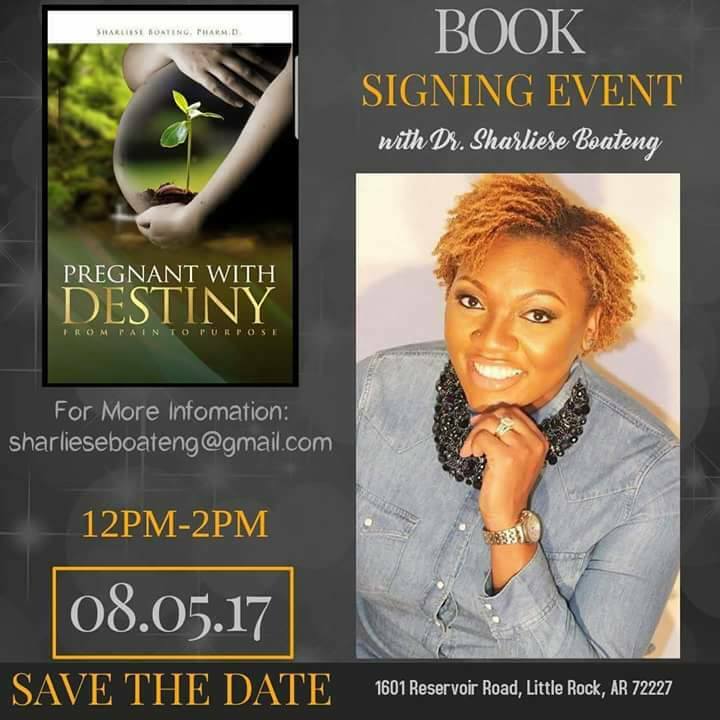 Because of whom she is and because of where God had predestined to take her, she has only mastered entrepreneurship in mighty Memphis. Talk about defying the toughest of odds. And because of who she is and because of where God had predestined to take her, she thought it necessary to never to give up on education. Look at her now, living out her long-awaited dream. All because she was determined to never place hers by the wayside. 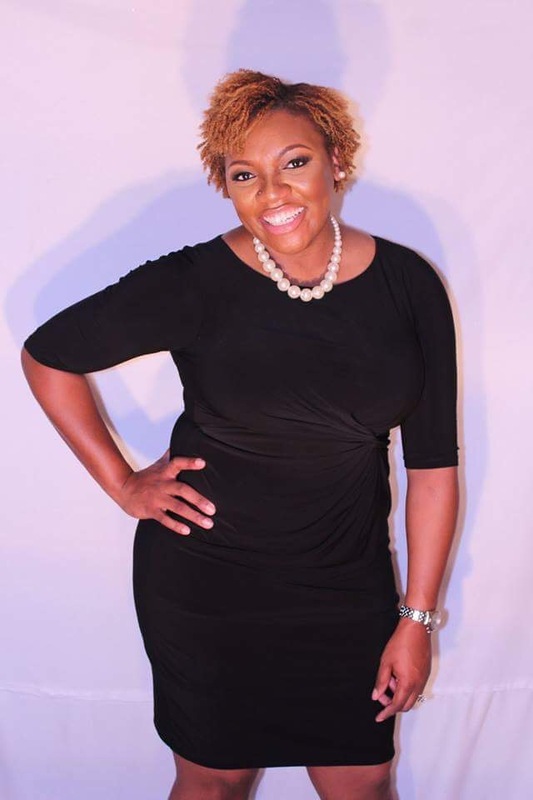 LIVING HER LIFE LIKE IT’S GOLDEN — A self-proclaimed “serial entrepreneur,” Memphis businesswoman Angie Steele has emerged as fixture and an inspirational force amongst Mid-South entrepreneurs in recent months, considering she has – for a lack of better words — a slew of irons in the fire. 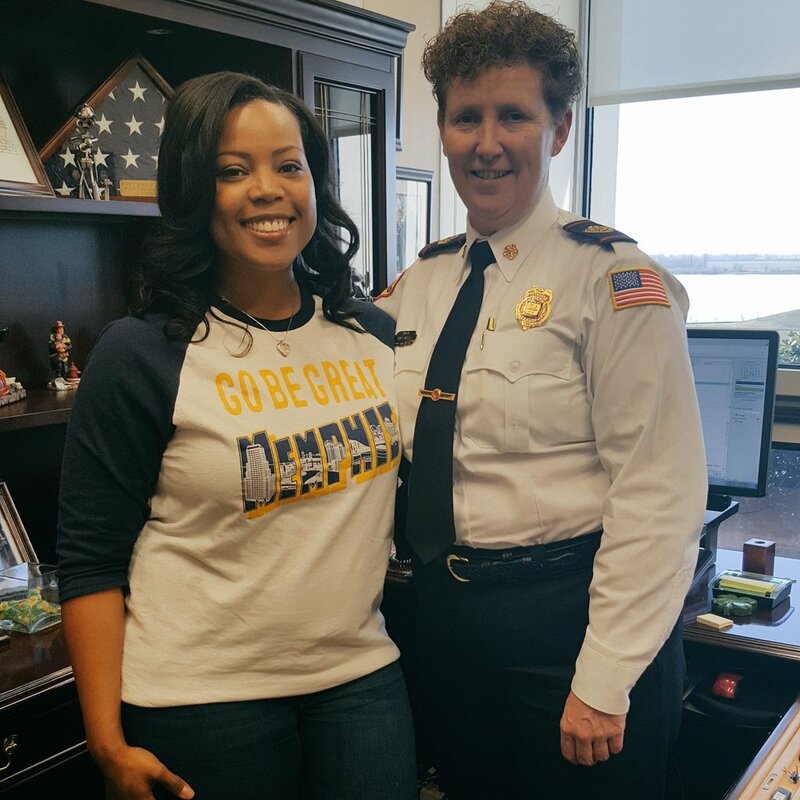 DALLAS — Long before Karen Dickey passed away on Independence Day last year, she left three small, yet inspiring words with her daughter that have ultimately changed the overall landscape of her life. “Go be great,” is what she always told me Dickey’s daughter Angie Steele told Making Headline News during a telephone interview from Memphis Thursday afternoon. Much to the delight of her beloved mother, who died just moments after going into cardiac arrest, “great” is what Steele has steadfastly been. 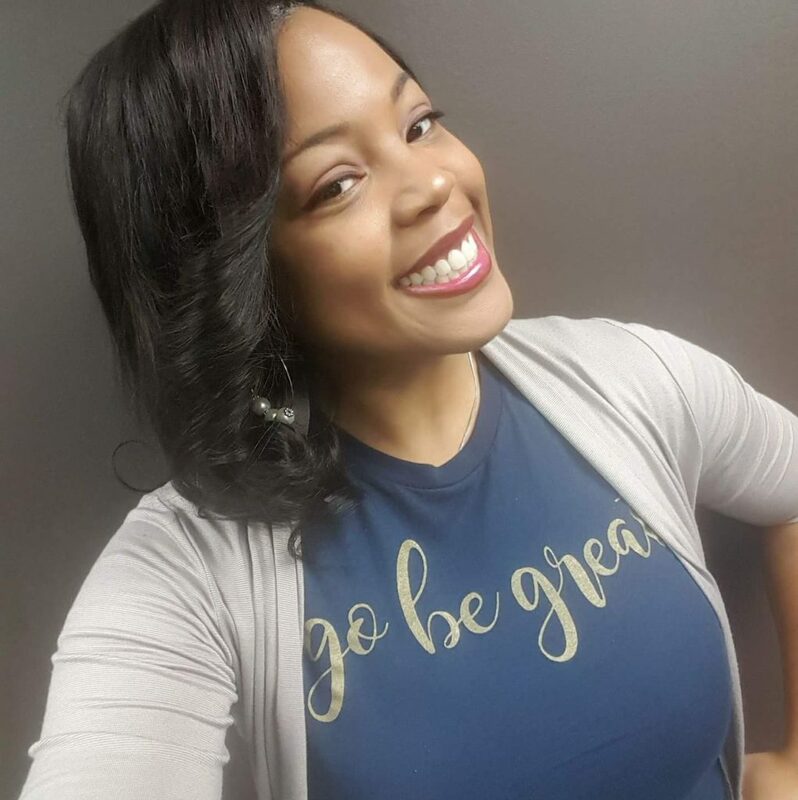 VISION ACCOMPANIED BY GREATNESS — Fortunately for Steele, who grew up near the Westwood district of the Bluff City, she grasped the notion of what it means to become an influential individual through entrepreneurship long before she was old enough to land a job. To her masterfully distinct credit, as a thriving Memphis-area businesswoman, Steele has been nothing short of remarkable. 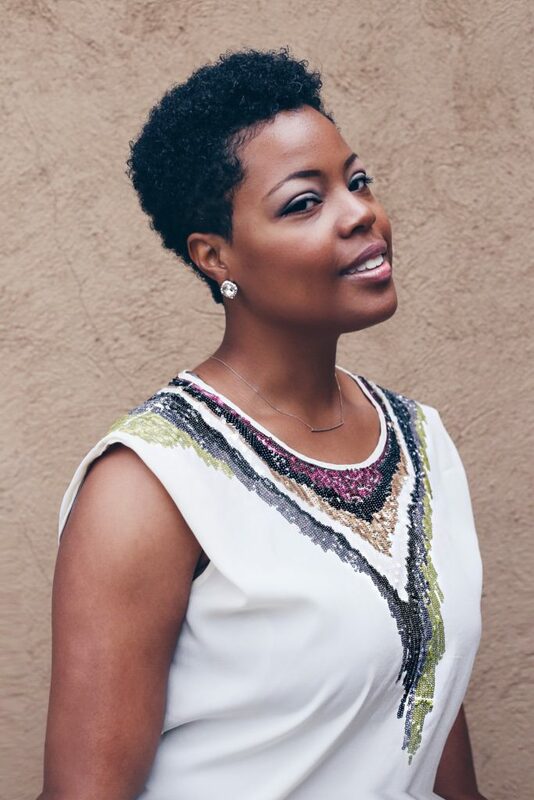 A self-proclaimed “serial entrepreneur,” Steele has emerged as a fixture and an inspirational force amongst Mid-South entrepreneurs in recent months, considering she has – for a lack of better words — a slew of irons in the fire. 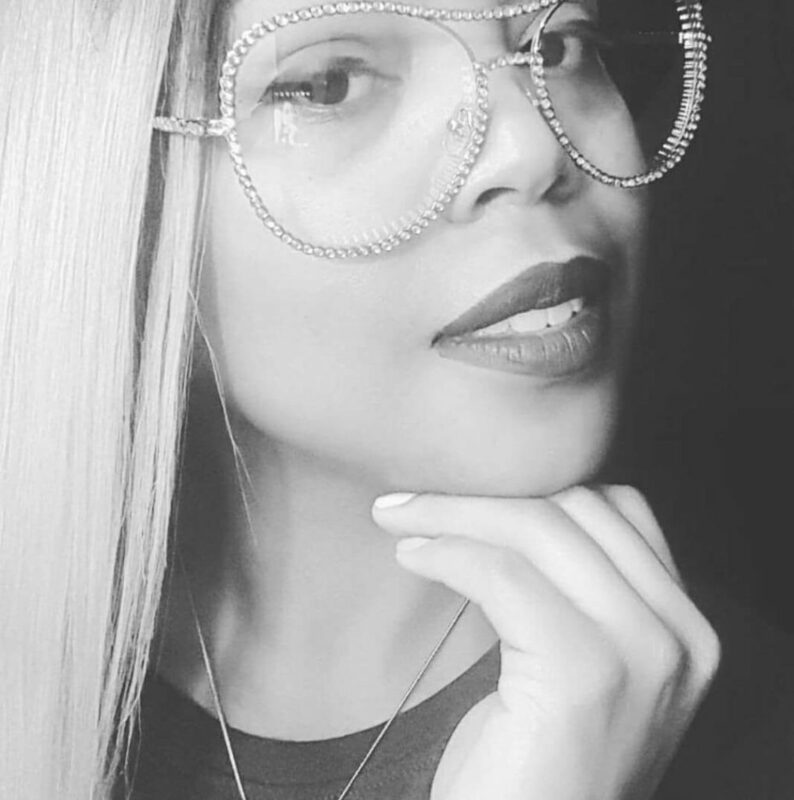 For starters, this Memphis Westwood High alum is widely known for her immense talents as a longtime licensed cosmetologist, a career that spans more than 16 years. 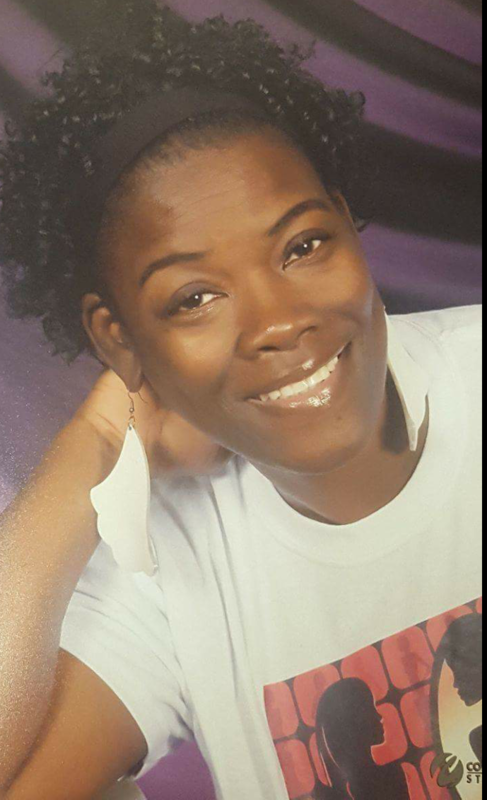 Currently, she accommodates clients at V’s Styling Studio, located at 3639 New Getwell Road, Suite 14 in Southeast Memphis. 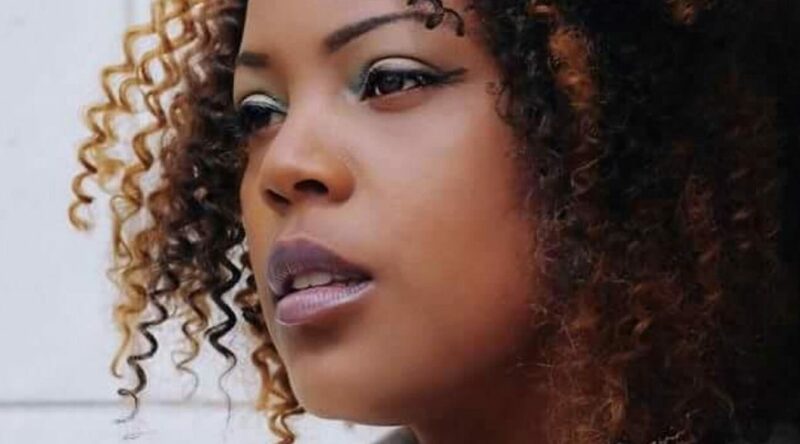 In addition, Steele is a notable market specialist for her assortment of sponsors, in which she routinely stage to her Facebook timeline an assortment of informative, thought-provoking blogs and live footage. As if that’s not enough to fill up her already congested itinerary, Steele has become a well-established T-shirt designer in recent months, assembling paraphernalia that bears several of her mother’s most memorable personal catchphrases as well her own personal slogans. In between servicing clients, marketing, and upgrading her T-shirt designing brand, Steele coaches The Great Eagles recreational soccer team that is sanctioned by the DeSoto County (Mississippi) Soccer Association. Like her grandfather, Steele’s grandmother contributed mightily to her granddaughter’s great entrepreneurship repertoire. 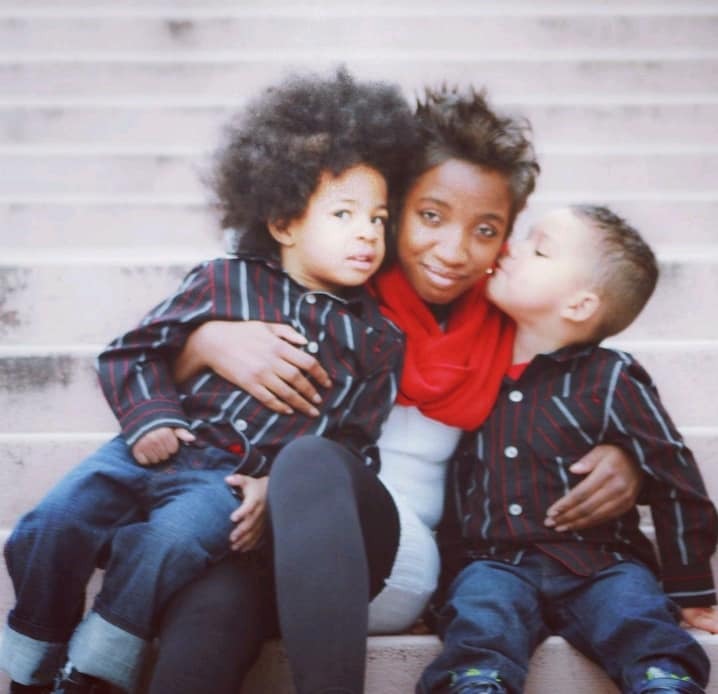 To her credit, even as a rookie youth soccer coach, she has proven that she boasts the smarts — and patience, mind you — to coach and inspire a group of tender four-and-five-year-old athletes, considering she guided her team to season-ending undefeated record. All things considered, Steele is also widely known for assembling periodic food reviews for the popular “Your Memphis Menu” blog. MORE OF ANGIE STEELE: https://www.facebook.com/yourmemphismenu/?hc_location=ufi. 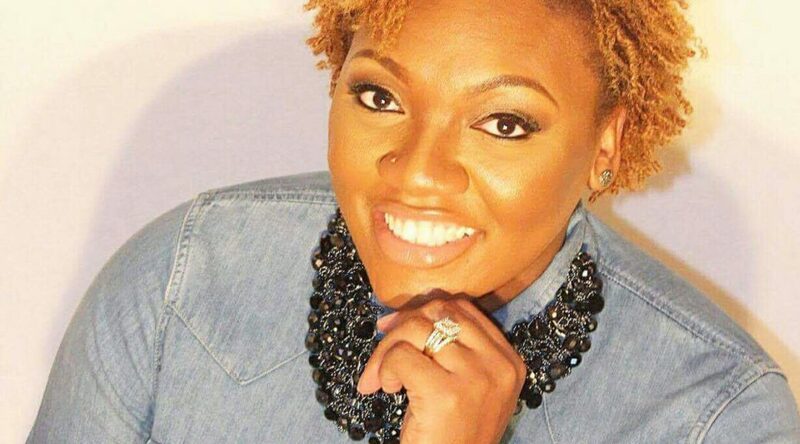 So how to explain a jammed packed schedule for a progressive Mid-South-area businesswoman whom, given the immense strides she’s made in recent months, appears destined to — you know — add to prolific entrepreneurship tenure that is blanketed by greatness? 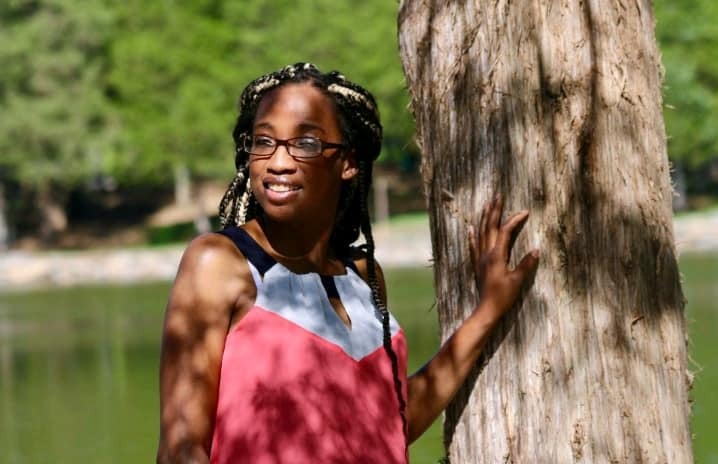 Long before Karen Dickey passed away on Independence Day last year, she left three inspiring words to her daughter that has ultimately changed the overall landscape of her life. “Go be great,” is what she always told me Dickey’s daughter Angie Steele told Making Headline News during a telephone interview from Memphis Thursday afternoon. 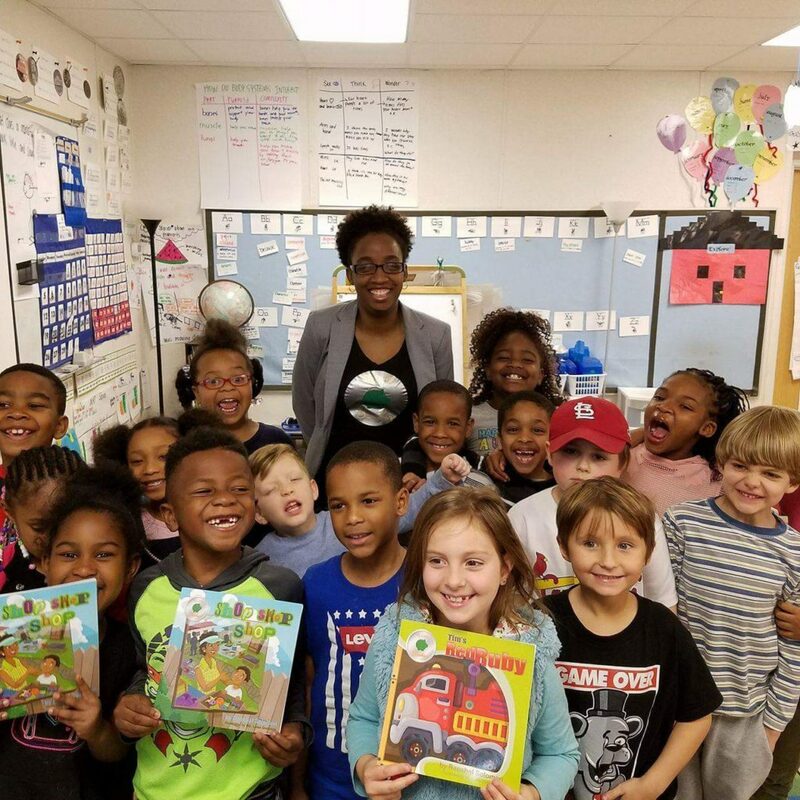 Fortunately for Steele, a native Memphian who grew up near the Westwood district of the Bluff City, she grasped the notion of what it means to become an influential individual through entrepreneurship long before she was old enough to land a job. Steele comes from a family of hard workers and a few entrepreneurs, a trend that was spearheaded by her late grandfather, Herman Dickey. In addition, Steele is a notable market specialist for her sponsor, in which she routinely stage to Facebook an assortment of informative, thought-provoking blogs and live footage. A native of Corinth, Mississippi, Dickey was a notable, well-respected businessman and devoted family man in that he was known for breaking horses, as well as driving taxis and trucks and owning a local café. Herman Dickey passed away in the 1970s. Although Steele never met her grandfather, the stories she heard about him are ones that have greatly inspired her to — you’ve guess it — go and be great. Weeks after the passing of her mother, Steele was the beneficiary of a monetary award for assembling what she described as a tribal jewelry design. Like her grandfather, Steele’s grandmother contributed mightily to her granddaughter’s dazzling entrepreneurship repertoire. For what it’s worth, Steele had only heighten her level of greatness through entrepreneurship after the recent passing of her mother, who was also responsible for instilling into her daughter business-oriented attributes. HOLDING HER OWN — In a city that has, for years it seems, been hampered and crippled by a lethargic economic landscape, Steele has gone to great lengths to defy and conquer the greatest of odds — with God, her Helper, leading the way. In a city that has seemingly been hampered and crippled for years by a lethargic economic landscape, Steele has gone to great lengths to defy and conquer the greatest of odds — with God, her Helper, leading the way. 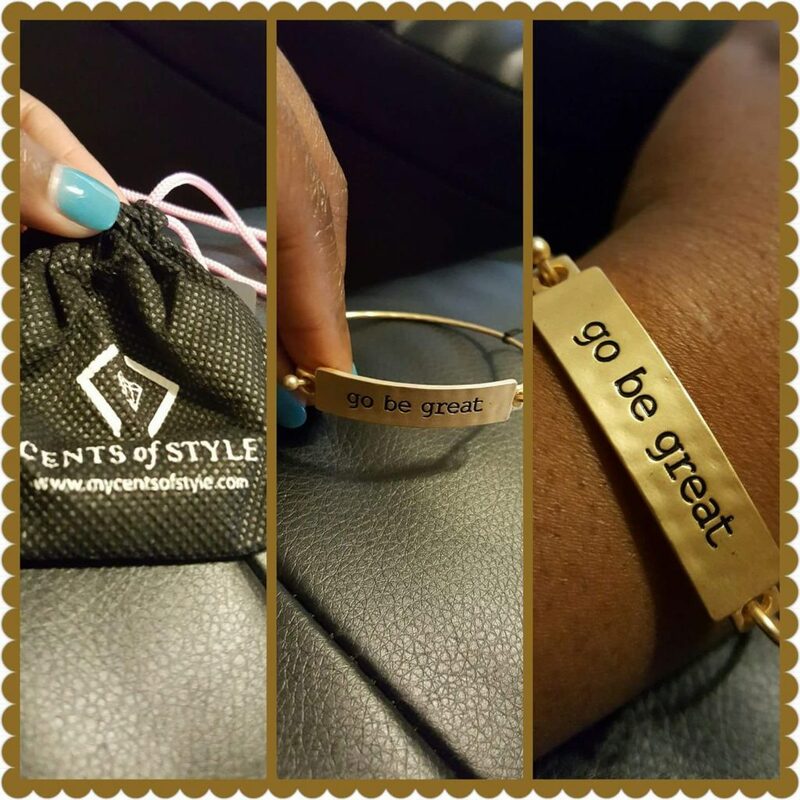 So much, in fact, that now she deems it necessary to give back and spread some of that greatness to others. 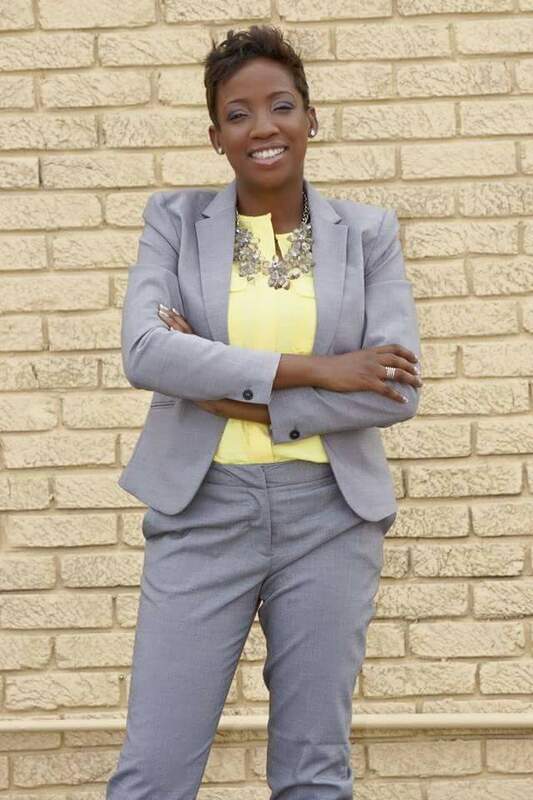 On Saturday, Steele will host her inaugural “Go Be Great Memphis Entrepreneur Conference” from 1:30-3:30 p.m. at Makeda’s Cookies at 488 South Second Street. 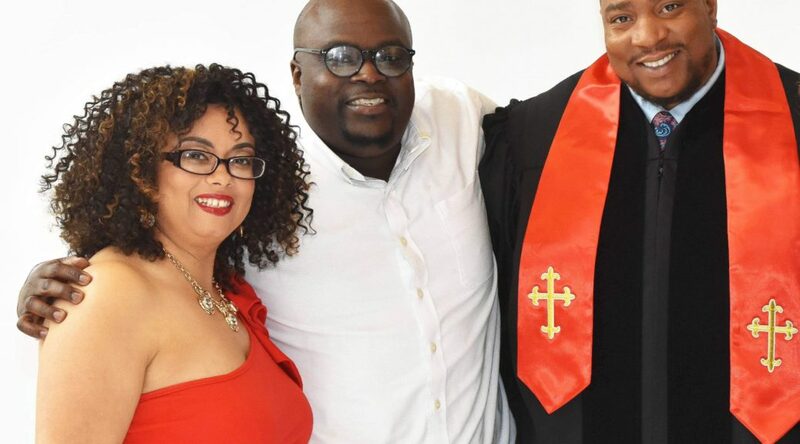 In assessing her tenure since vacating college nearly two decades ago despite being offered an academic scholarship, Steele doesn’t shy away from the notion that she undoubtedly is walking and basking in her divine purpose. She’s since been nothing short of impressive. 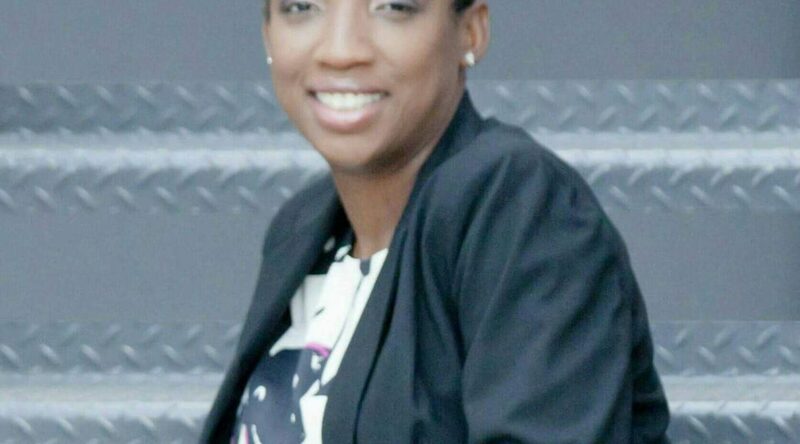 For more information about Memphis entrepreneur Angie Steele, email her at: angie18ald@gmail.com. 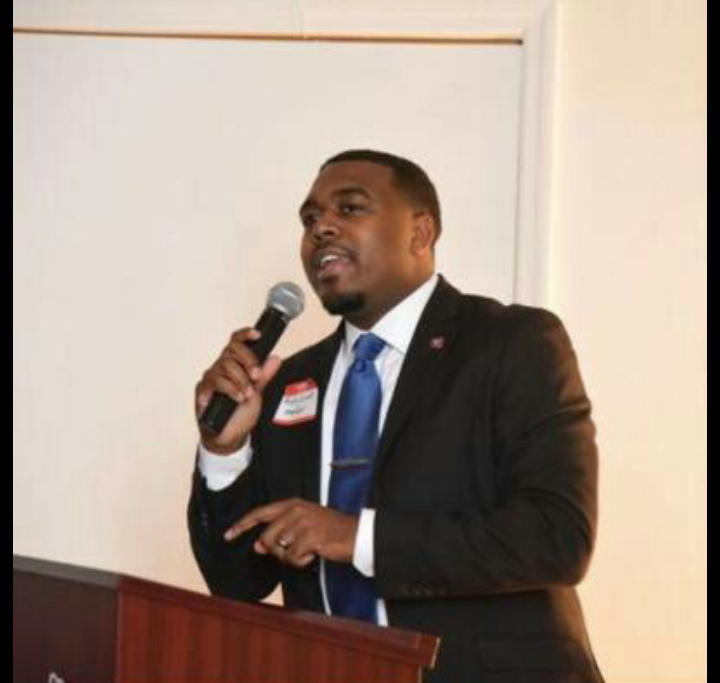 Is Shelby County Young Democrats President Alvin Crook the Memphis political landscape’s best kept secret? TEN-NES-SEE HOW FAR HE’S COME — To grasp a thorough understanding of why Alvin Crook, the newly elected 9th Congressional Representative for the State of Tennessee Young Democrats, wasted little time paying homage to his mother, Lisa Ann Washington, look no further than how he had gone about defying arguably the greatest of odds, particularly during his mostly challenging upbringing inner city Memphis. Having been raised in the South Memphis — or to be technical, the historic Whitehaven district of Memphis — Washington, in what was a seemingly familiar trend in the inner city, was left to run a single-parent home that was comprised of Crook and his two younger sisters. 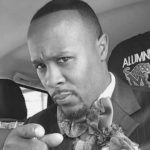 MEMPHIS — Shortly after 7 o’clock Monday morning, Alvin Crook thought it necessary to take to his Facebook page and jump start his workweek with a rather intriguing, forthright message. Having staged to his timeline an image of a tiger — a rather ferocious, rambunctious looking tiger — the message is one in which a number of his followers found quite captivating. The message read: I’M COMING FOR EVERYTHING THEY SAY I COULDN’T HAVE! While such a dazzling social media post had given way to a slew likes, favorable comments and a few shares, it is one that, in assessing the overall landscape of Crook’s life, has served a motivational force for a man whom, like many of his peers, had to work diligently in surviving and conquering the sometimes brutally chaotic streets of Memphis. 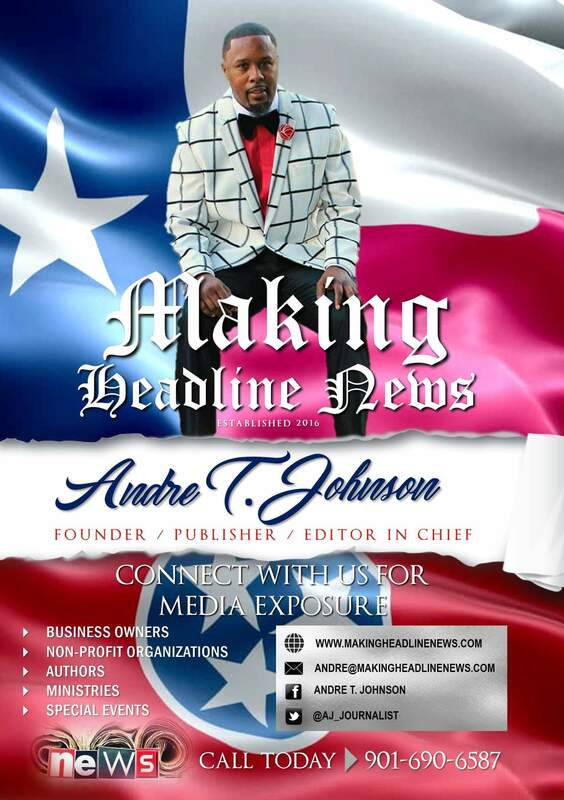 “I thank God for all of my success and my mom for raising me up,” Crook told Making Headline News during a recent interview. 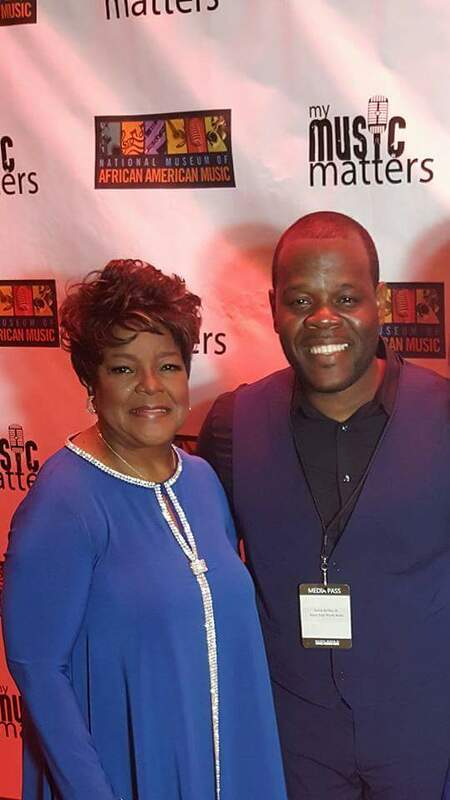 To grasp a thorough understanding of why Crook, the newly-elected 9th Congressional Representative for the State of Tennessee Young Democrats, wasted little time paying homage to his mother, Lisa Ann Washington, look no further than how he had gone about defying arguably the greatest of odds, particularly during his mostly challenging upbringing in inner city Memphis. 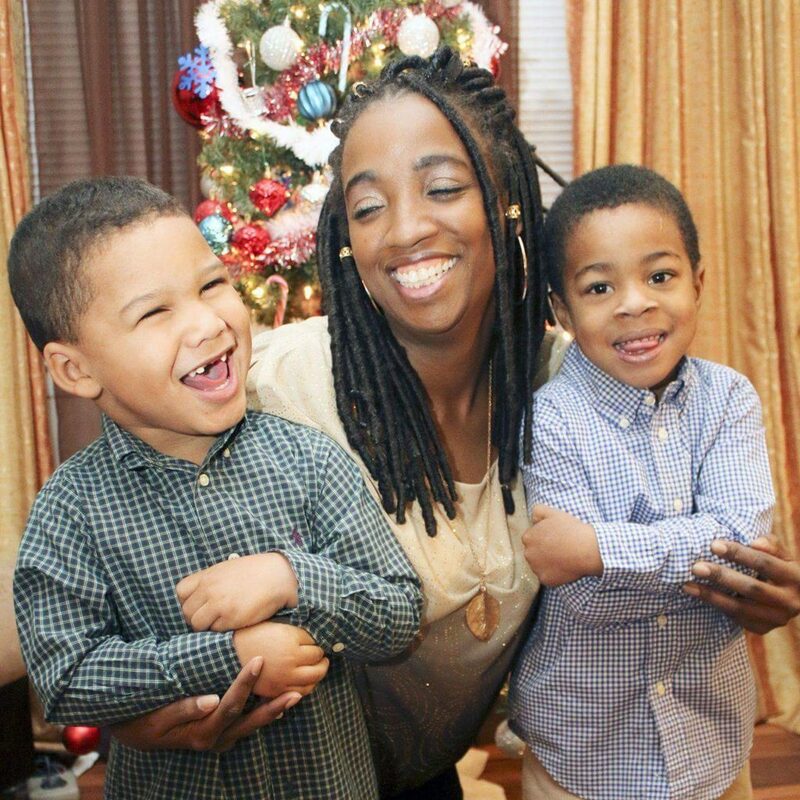 Having been raised in the South Memphis — or to be technical, the historic Whitehaven district of Memphis — Washington, in what was a seemingly familiar trend in the inner city, was left to run a single-parent home that was comprised of Crook and his two younger sisters. 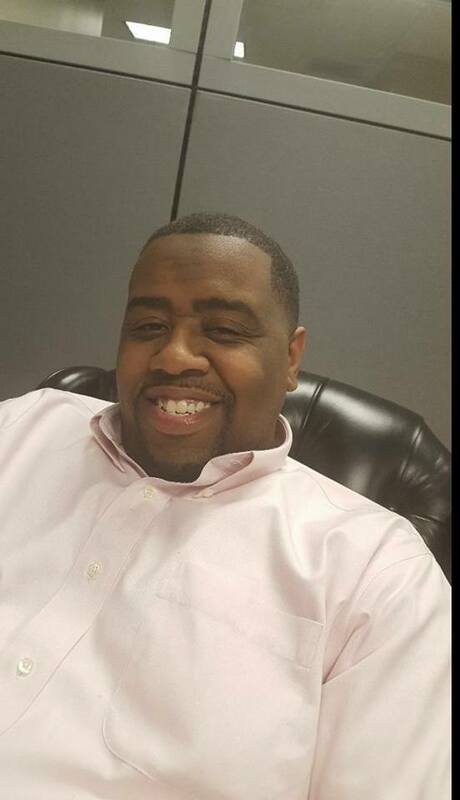 A “FAIRLEY” REMARKABLE OUTCOME — Upon graduating from Memphis Fairley High, Crook’s passion for the law enforcement industry was everything but unnoticed, considering he assumed a position as a court officer through the Shelby County Sheriff’s Office from June 2008 through July 2016. 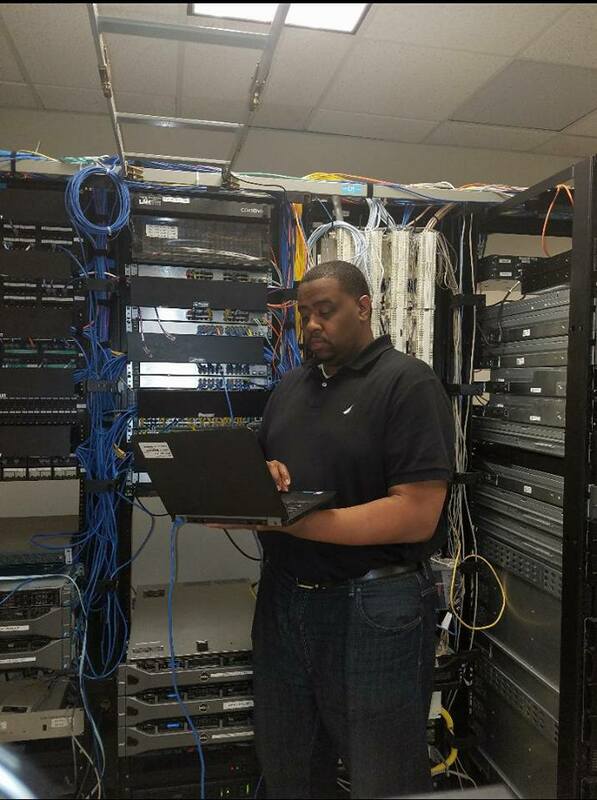 In addition, he enjoyed a stint with the Holly Springs (Mississippi) Police Department before earning a Bachelor’s of Science Degree in Criminal Justice from the University of Phoenix. While Washington persevered through an array of intense challenges and obstacles, Crook, meanwhile, sensed he needed to do the essential things that would greatly enable him to become a successful young black lad in a city that for years has been crippled by a poor economic landscape. 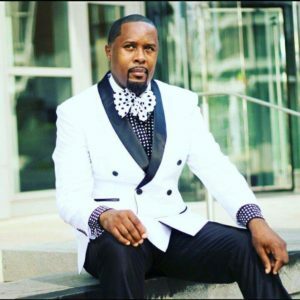 To his masterful, immeasurable credit, he had done just that, had executed what was an effective, strategic plan that would ultimately give way to his becoming a respectable public figure in his native establishment that is the Bluff City. 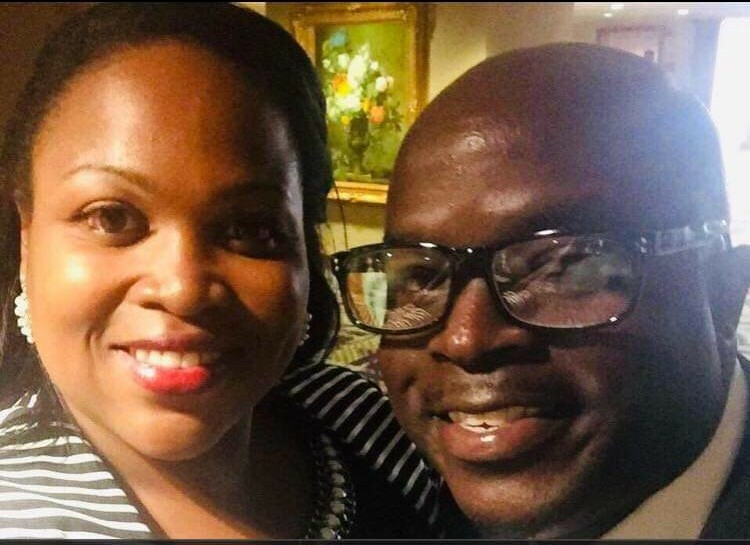 Widely known as a former Shelby County Commissioner candidate for District 12, as well as the former president of the Shelby County Young Democrats from 2015-2017, the 30-year-old Crook is a graduate of Memphis Fairley High and is married to Andrea Crook. They are the proud parents of four-year-old Alvin Crook IV. 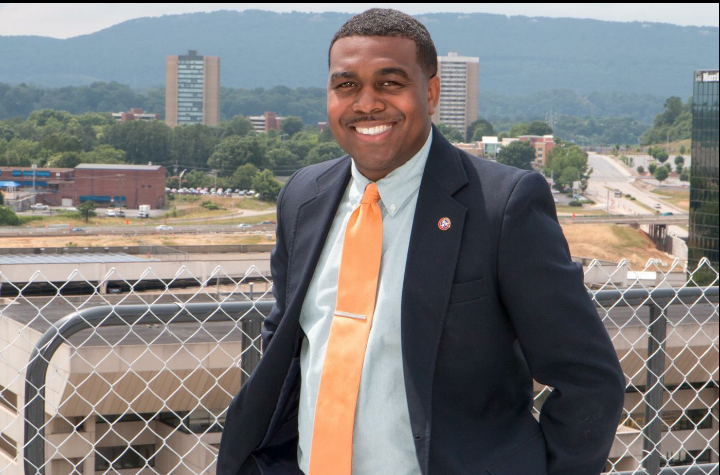 DISHING OUT HUGE ASSISTS — “I also want to credit and thank my mentors, State Representative Antonio Parkinson, and community leaders Greg Grant and Alonzo Grant,” Crook said. 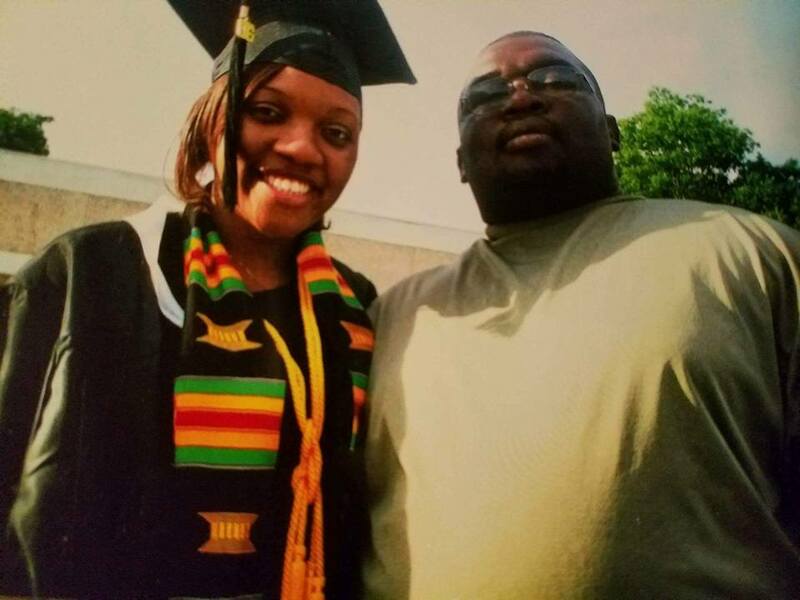 Upon finishing high school, Crook’s passion for the law enforcement industry was everything but unnoticed, considering he assumed a position as a court officer through the Shelby County Sheriff’s Office from June 2008 through July 2016. 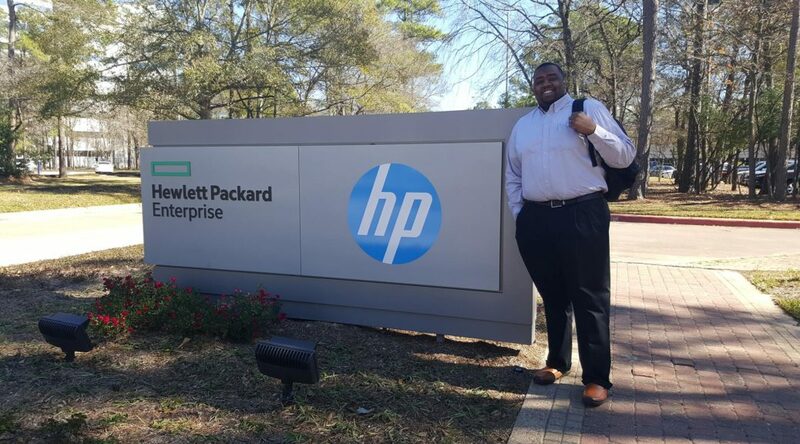 In addition, he enjoyed a stint with the Holly Springs (Mississippi) Police Department before earning a Bachelor’s of Science Degree in Criminal Justice from the University of Phoenix. Aside from having a valiant political presence, Crook is still very much active in law enforcement, considering his resume includes working with the homeless population in Memphis, as well as serving as President of his Neighborhood Watch Organization. 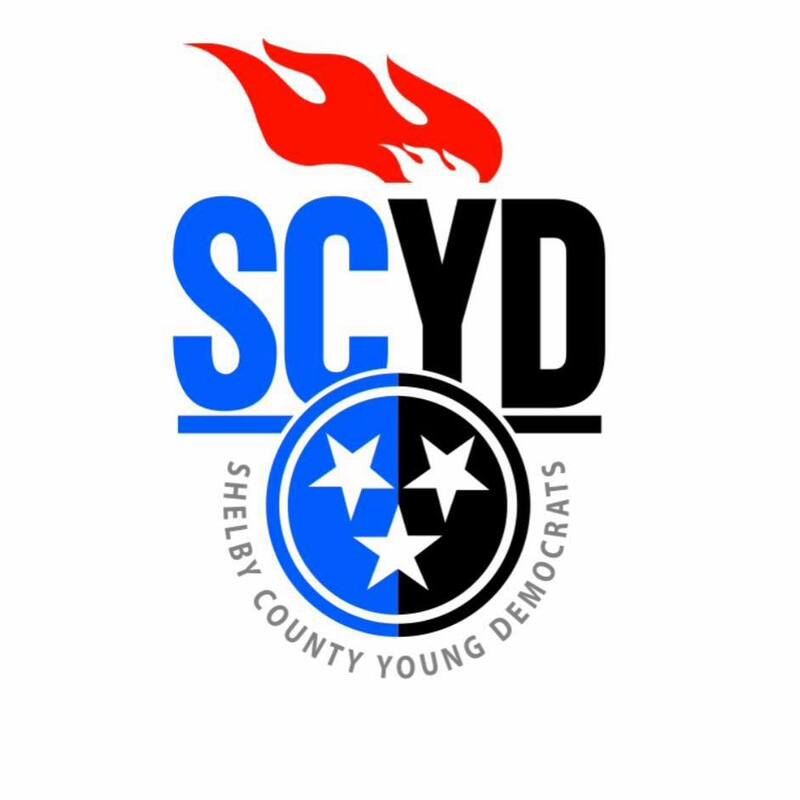 Widely known as a former Shelby County Commissioner candidate for District 12, as well as and the former president of the Shelby County Young Democrats from 2015-2017, the 30-year-old Crook is a graduate of Memphis Fairley High. 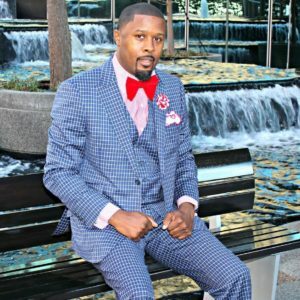 His community service accolades include having become a Prince Hall Free Mason, and he is a member of the Urban League Young Professionals, Shelby County Young Democrats, Tennessee Young Democrats, Millenniums of Memphis, NAACP Memphis Chapter, Greater Memphis Democratic Club, American Criminal Justice Association and he presently sits on as a Commissioner on the Downtown Parking Authority in Memphis Tennessee. 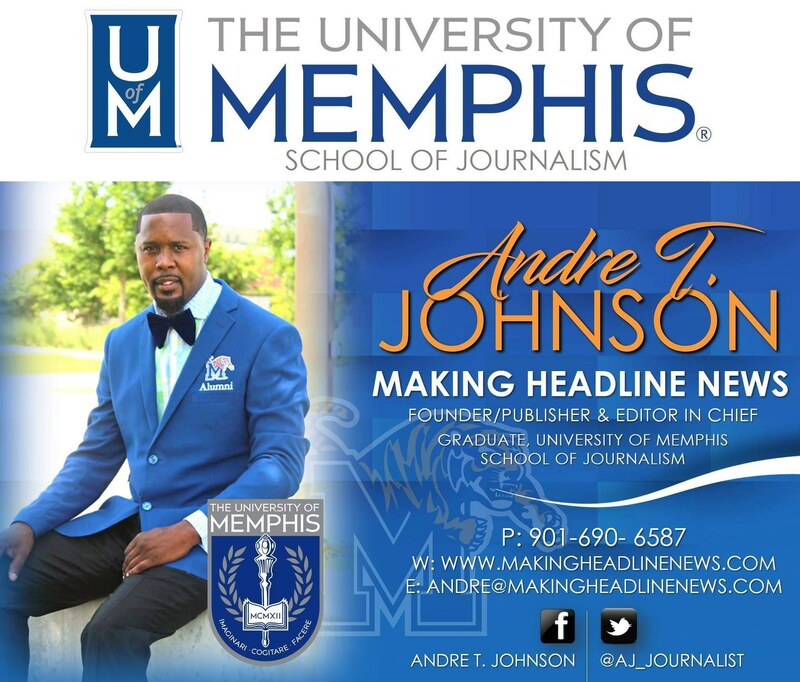 Talk about a masterful, immeasurable resume for a young pillar of the Memphis metropolitan area. So does a few of his notable constituents, colleagues, and mentors. 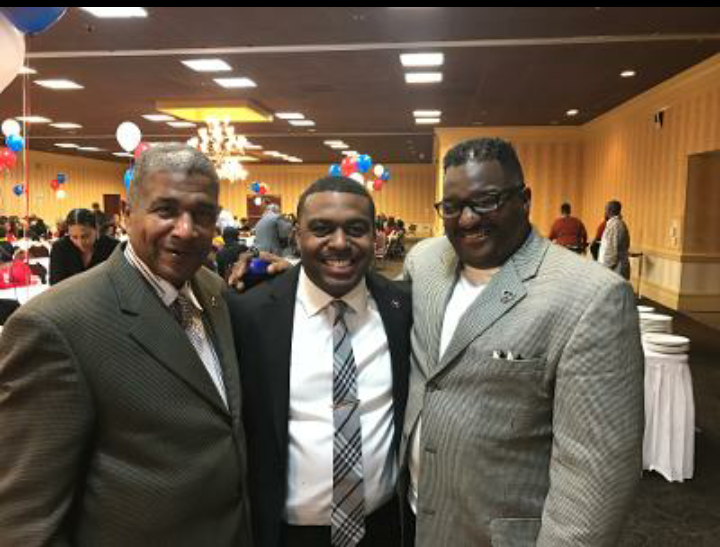 “I also want to credit and thank my mentors, State Representative Antonio Parkinson, and community leaders Greg Grant and Alonzo Grant,” Crook said. BEACON OF LIGHT — Crook’s community service accolades include having become a Prince Hall Free Mason, and he is a member of the Urban League Young Professionals, Shelby County Young Democrats, Tennessee Young Democrats, Millenniums of Memphis, NAACP Memphis Chapter, Greater Memphis Democratic Club, American Criminal Justice Association and he presently sits on as a Commissioner on the Downtown Parking Authority in Memphis Tennessee. As for his plans in this ever-so-competitive political arena in the foreseeable future, Crook doesn’t shy away from the notion that Memphians will likely see his name come up — early and often. For Crook, his track record, by all accounts, speaks volumes, as evidence by the thought-provoking message he installed to his Facebook page early Monday morning. That is, this youngster is coming for everything they said he couldn’t have. 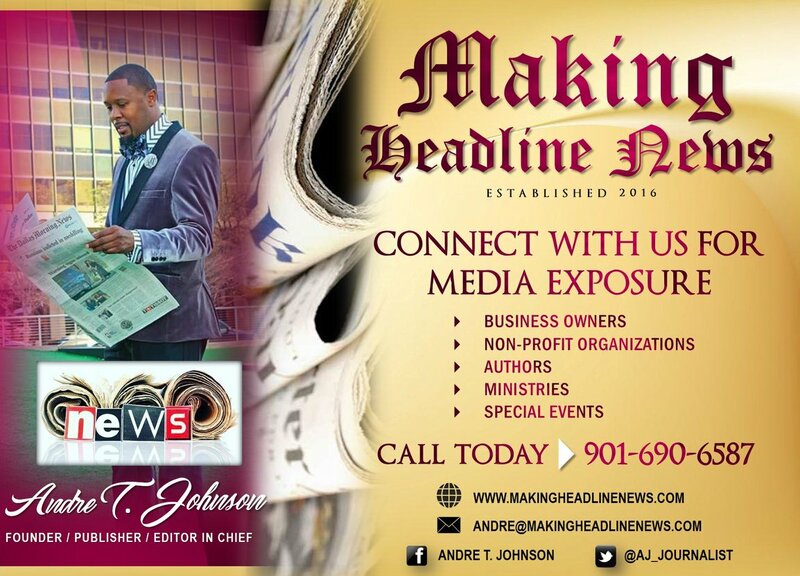 EDITOR’S NOTE: If you are an entrepreneur, political figure, business owner, producer, author, athlete, musician, barber, life coach, motivational speaker, cosmetologist, tax preparer, model, or pastor/minister who is seeking exposure and would like to share your story with an in-depth news feature, call Reporter Andre Johnson at 901-690-6587 or Facebook message him under “Andre T. Johnson” for details.